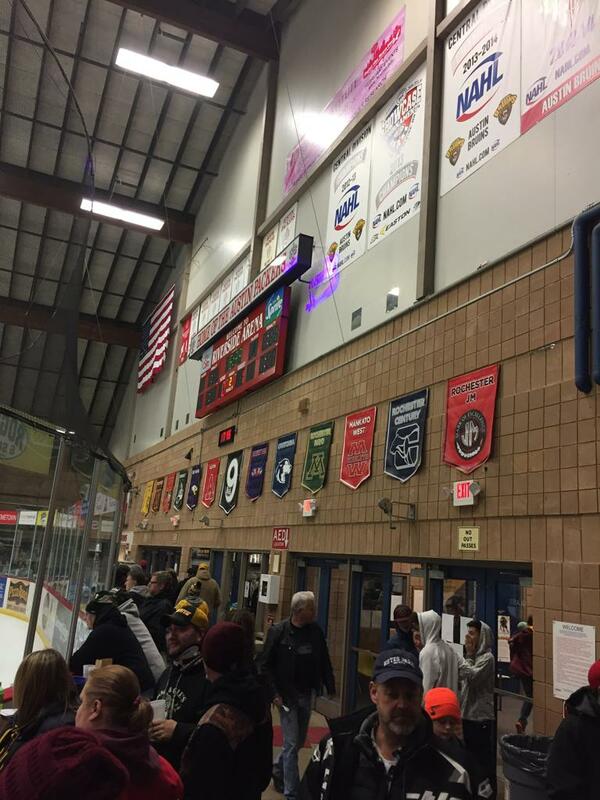 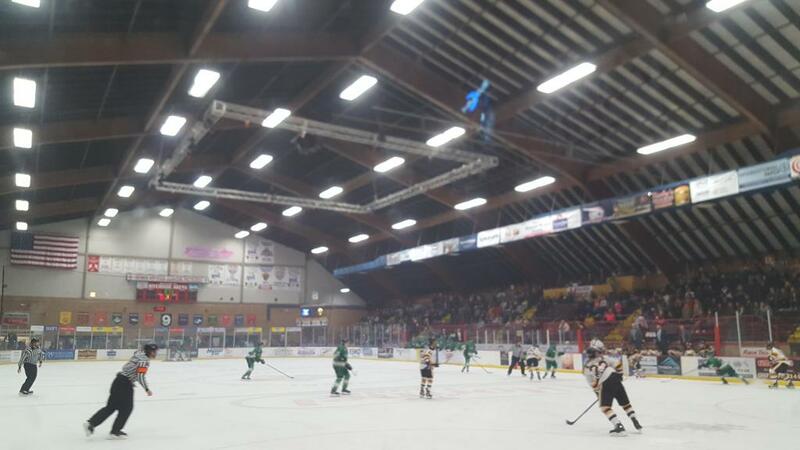 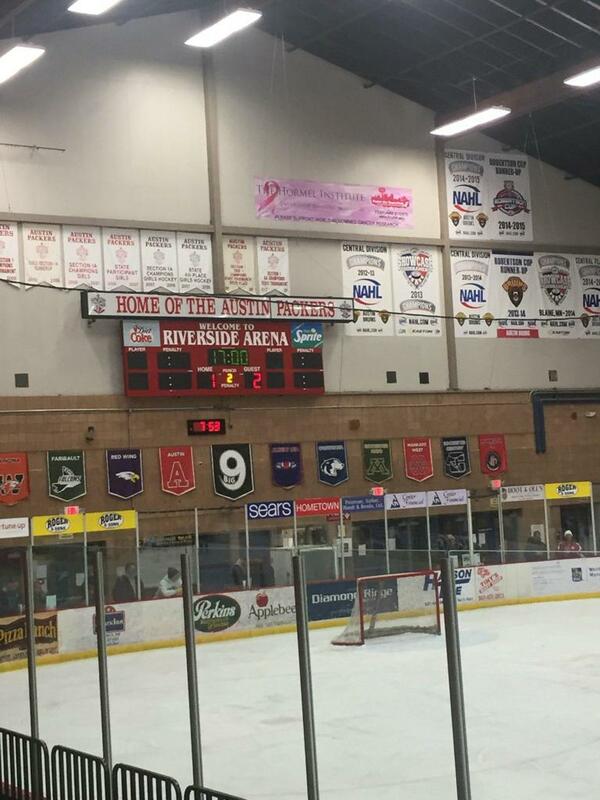 Riverside Arena is located at 501 2nd Ave NE in Austin, MN. 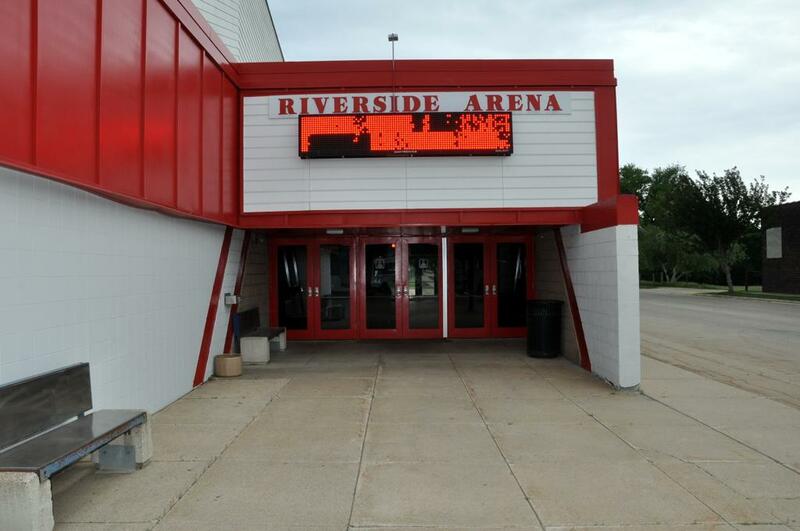 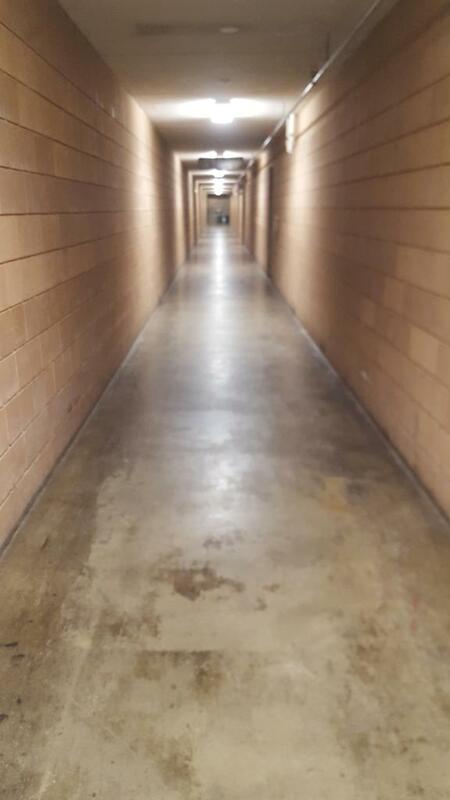 Riverside opened in 1976 and is owned and operated by the City of Austin, MN. 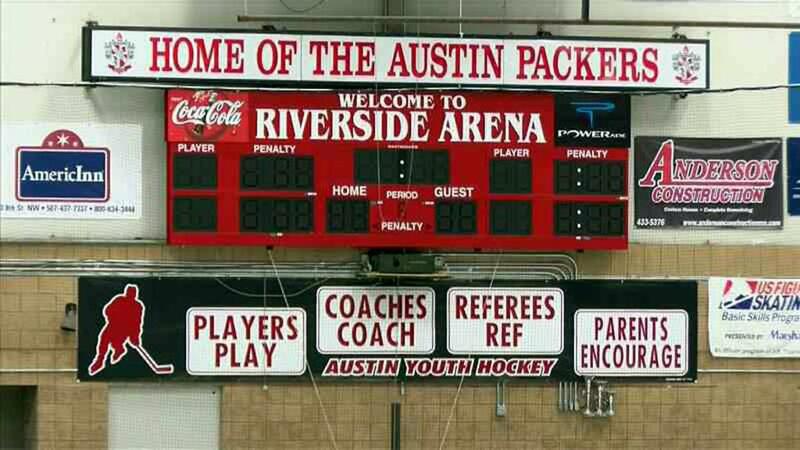 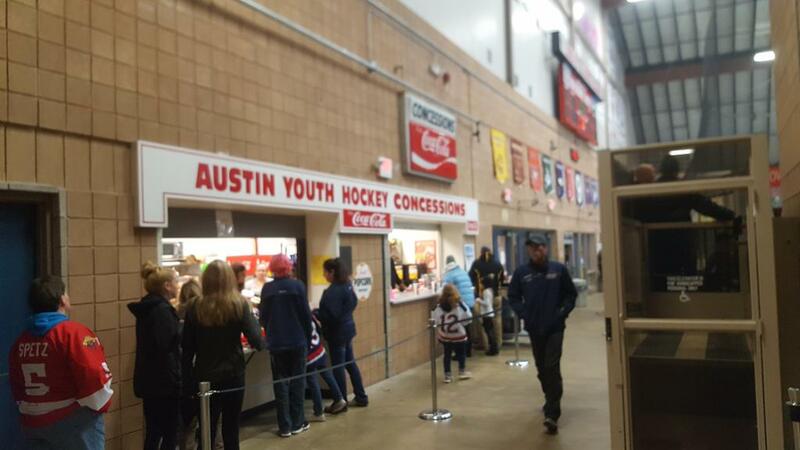 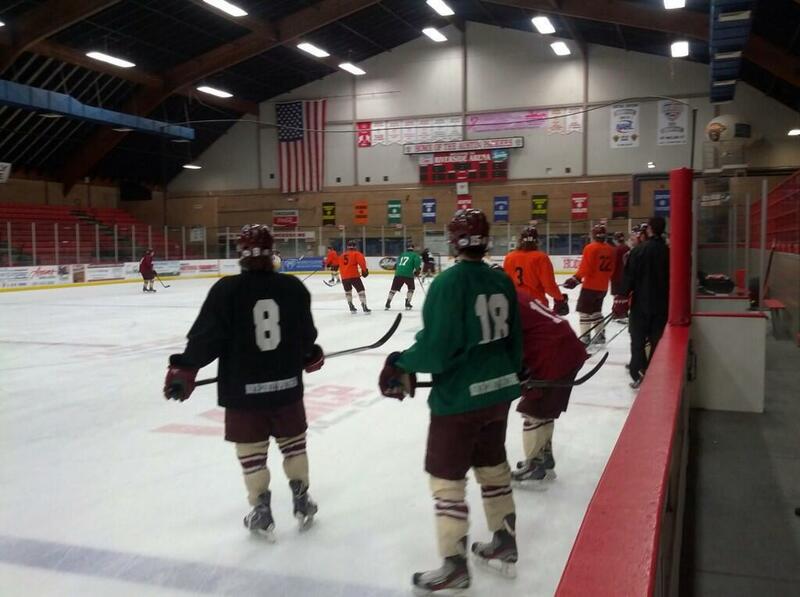 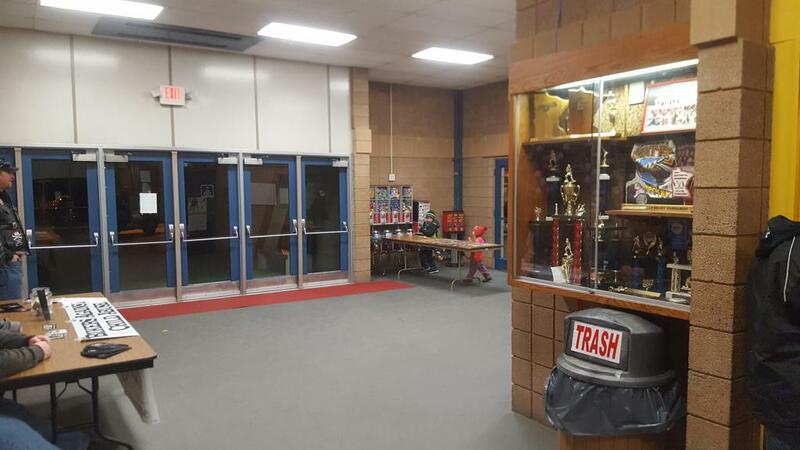 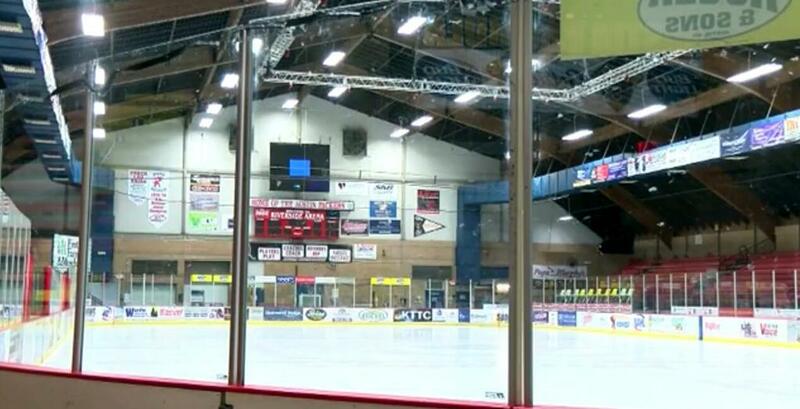 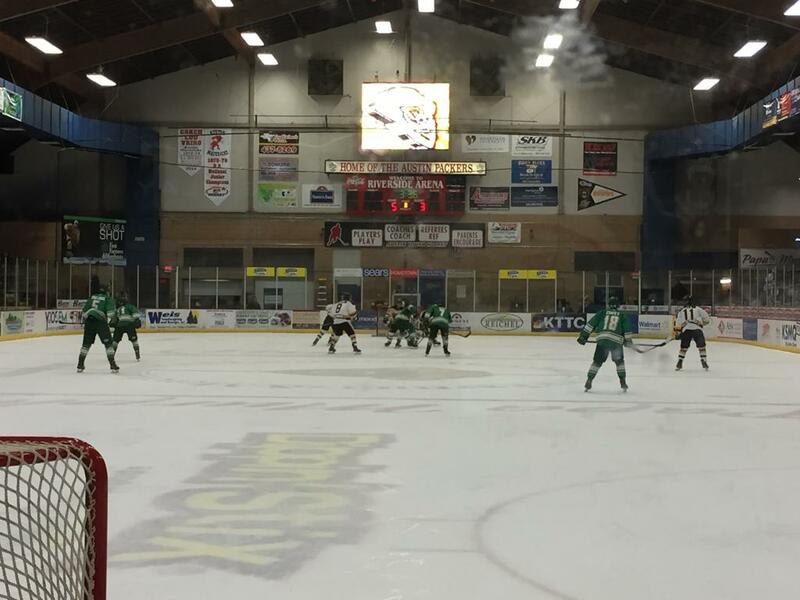 This southern Minnesota town has a rich hockey tradition with the Austin Youth Hockey Association, and Austin Packers High School hockey team utilizing the rink. 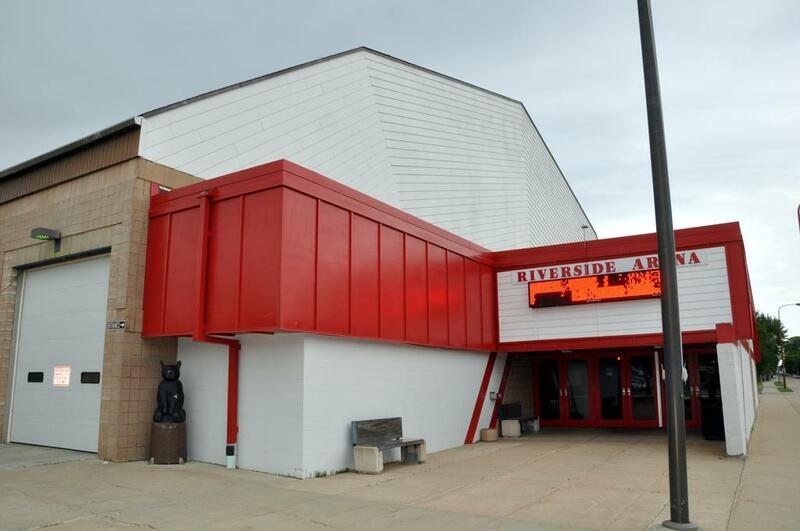 The now defunct Austin Mavericks, founded in 1974, called Riverside Arena home. 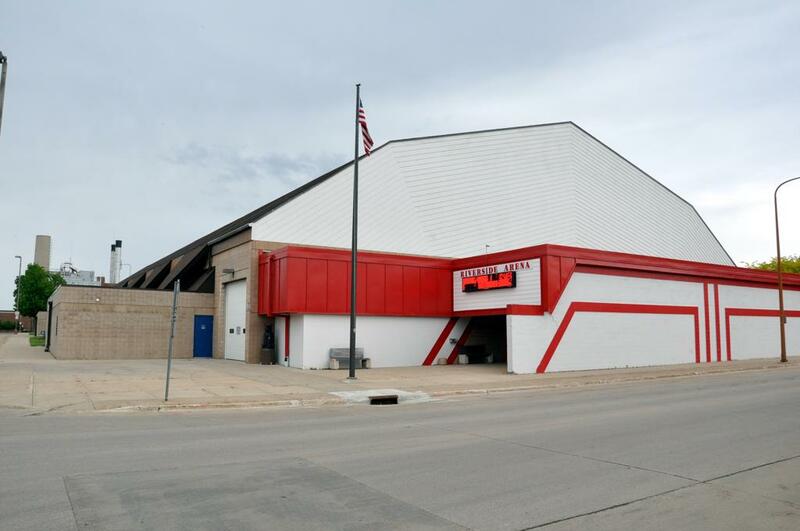 The Mavericks played in the Midwest Junior Hockey League from 1974 -1977 before they joined the United States Hockey League in 1977, where they played in until the team folded in 1985. 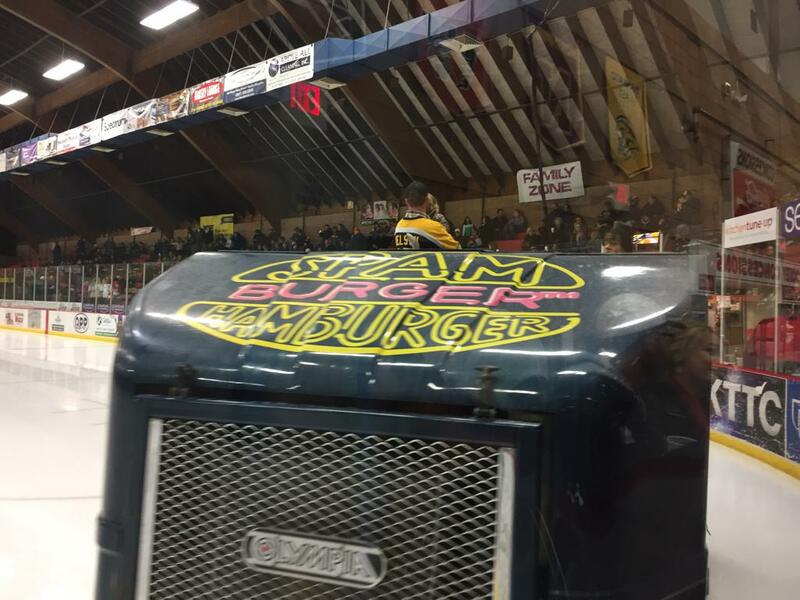 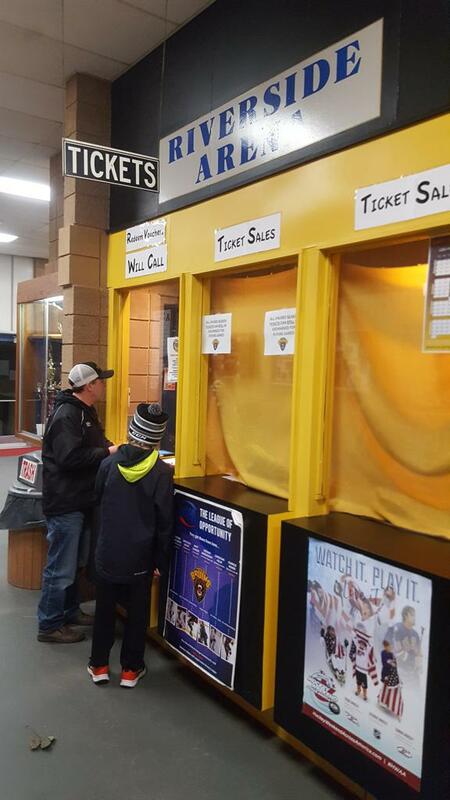 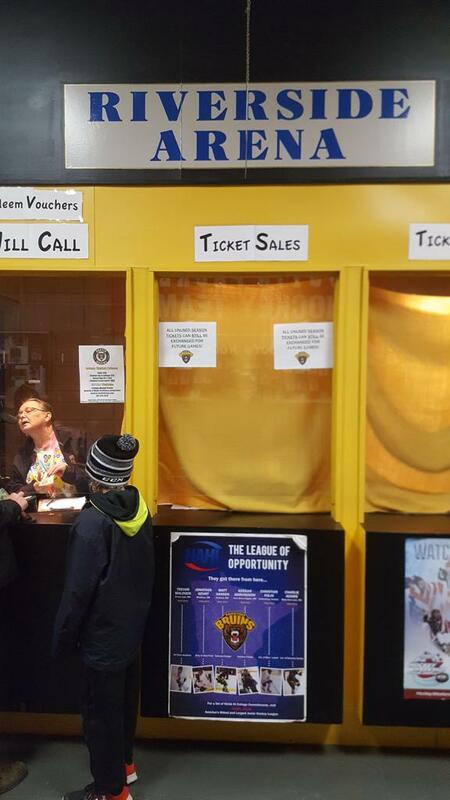 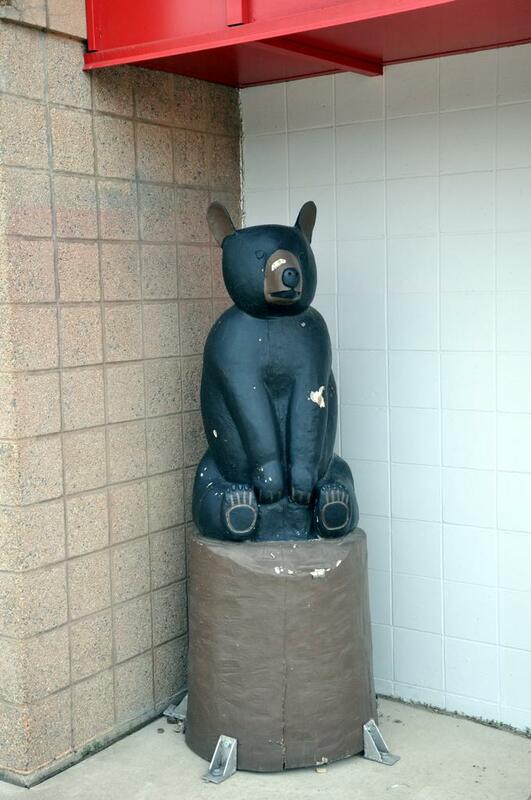 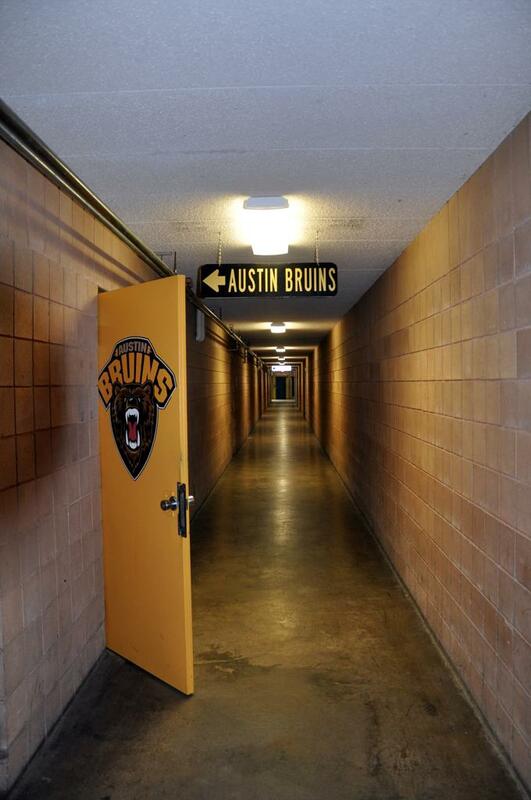 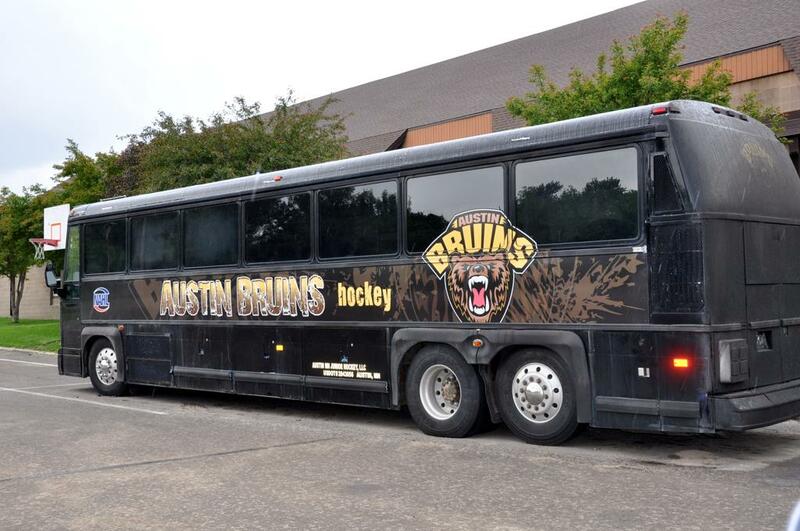 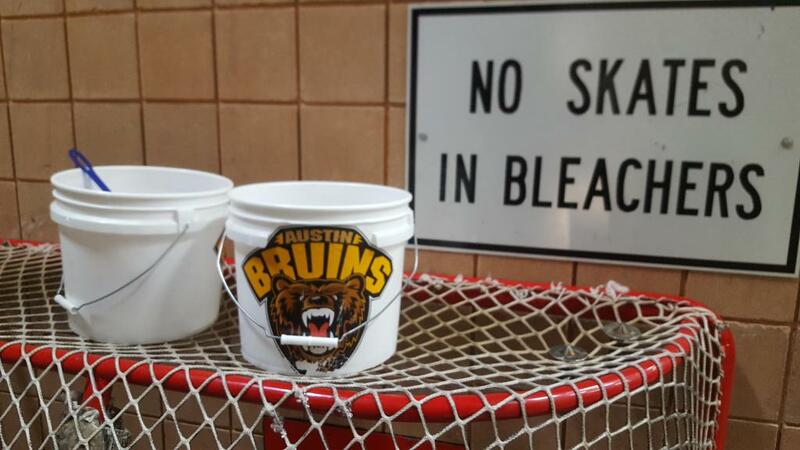 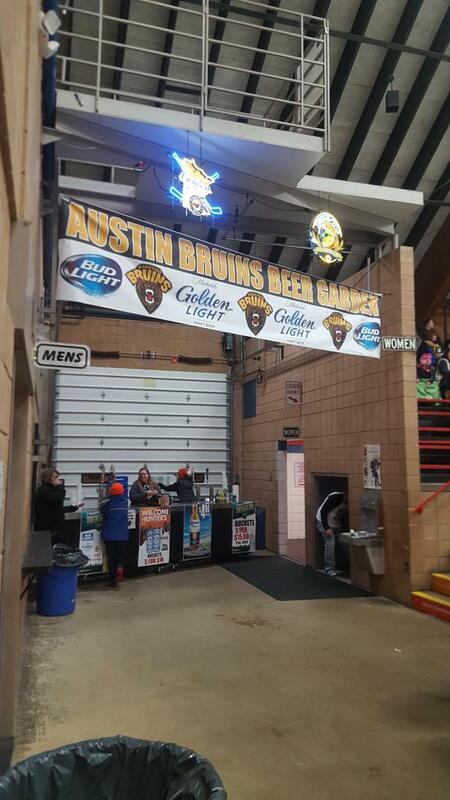 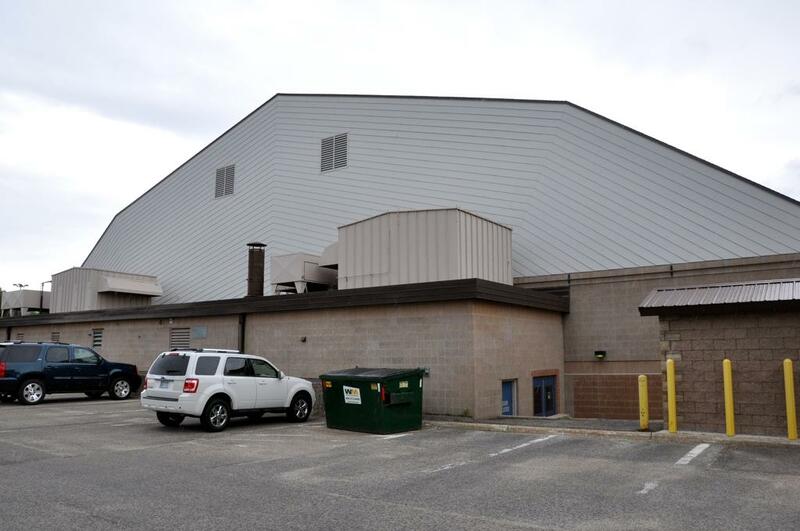 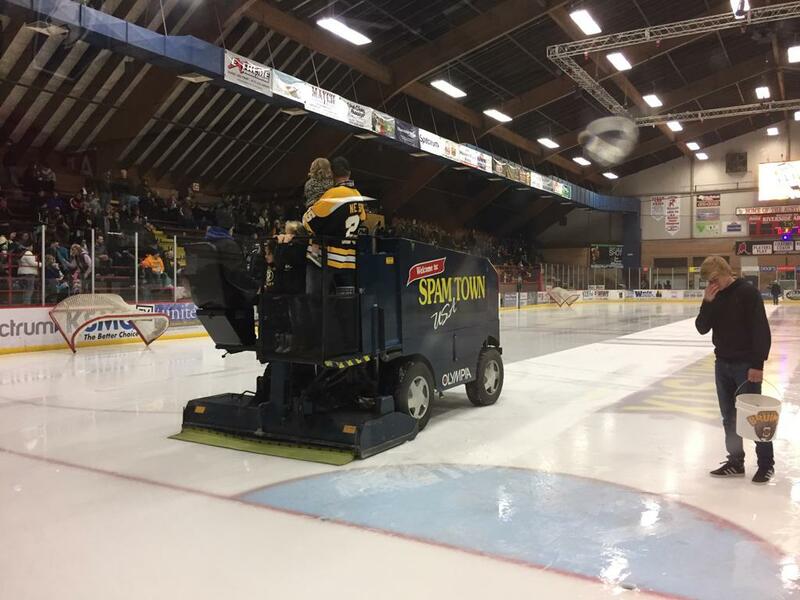 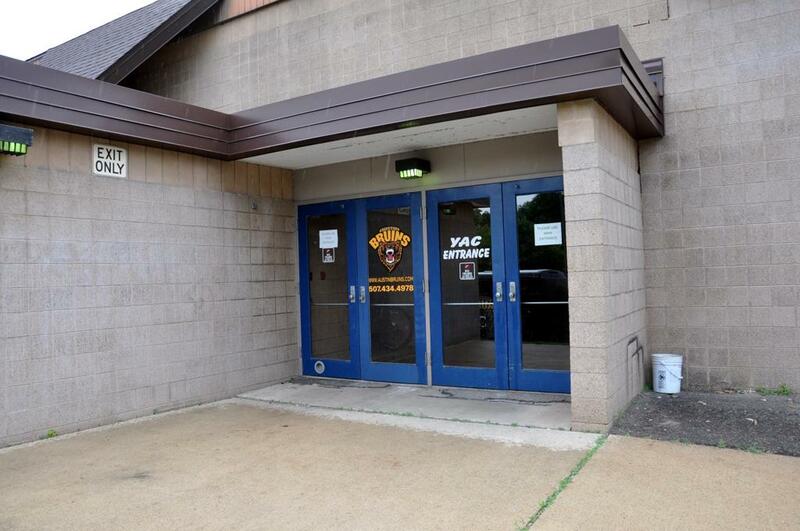 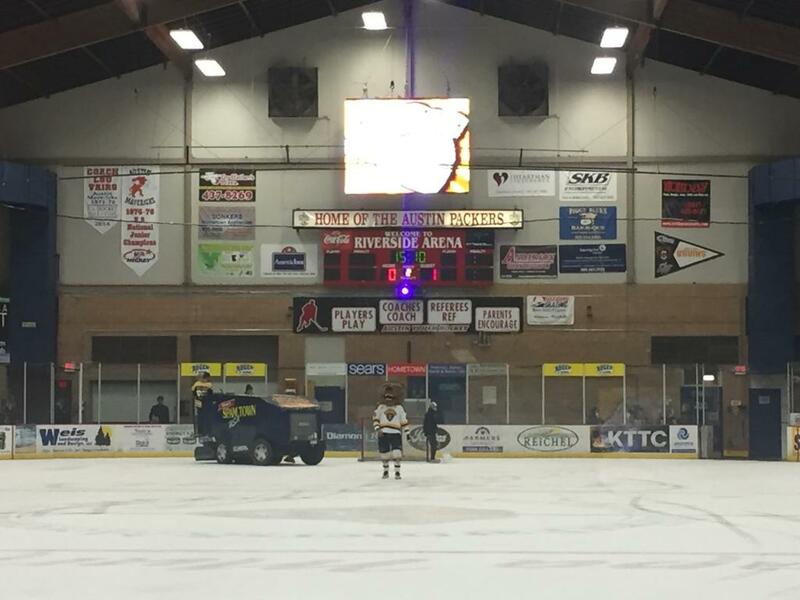 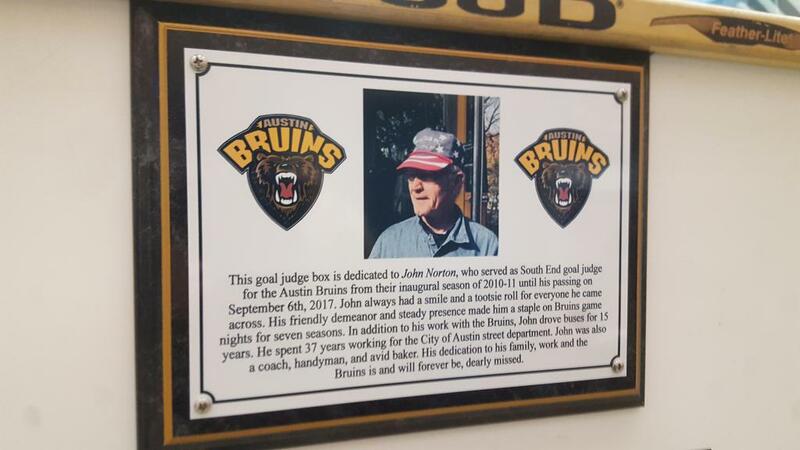 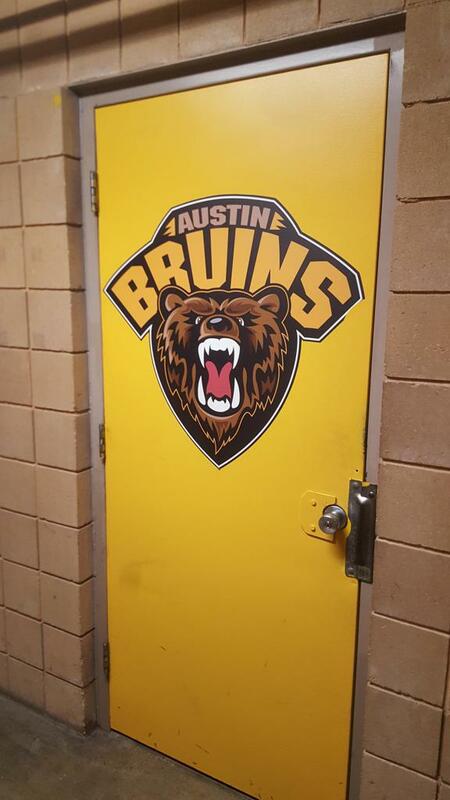 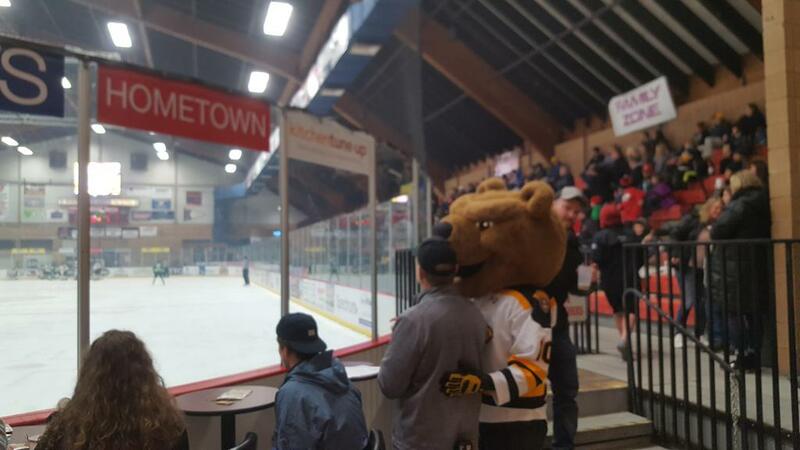 Since the 2010-2011 inaugural season, the Austin Bruins Junior A team of the NAHL have called Riverside Arena home - which is apparent by the chainsaw carved brown bear statue lying next to the front entrance of the arena. 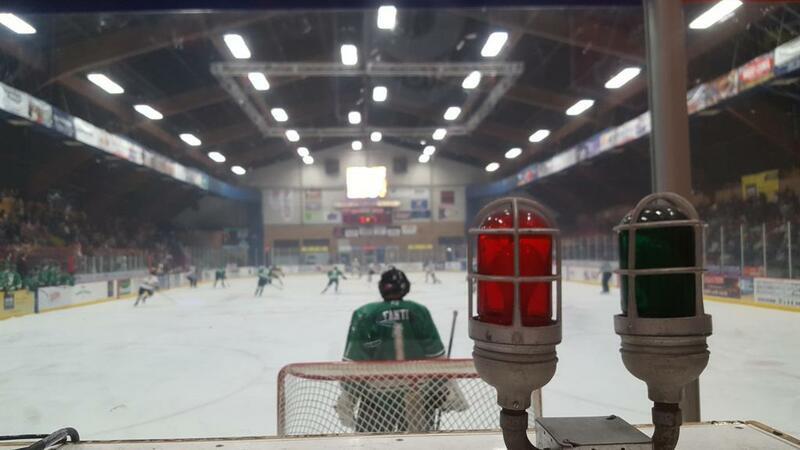 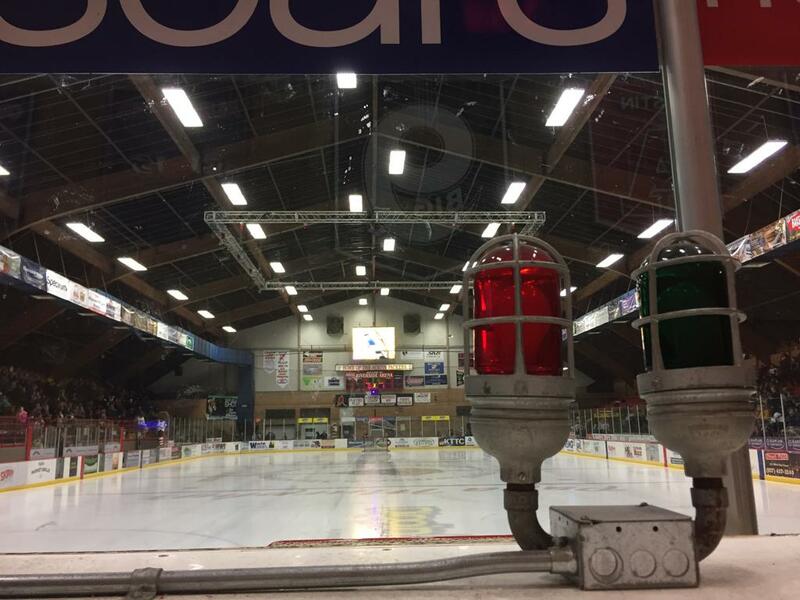 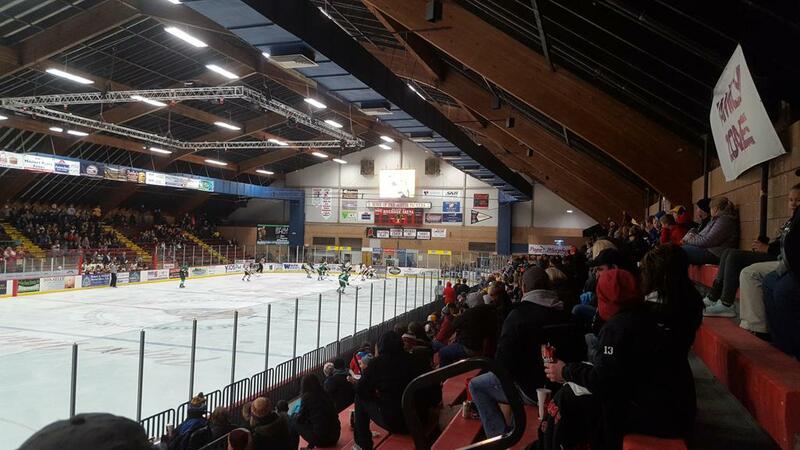 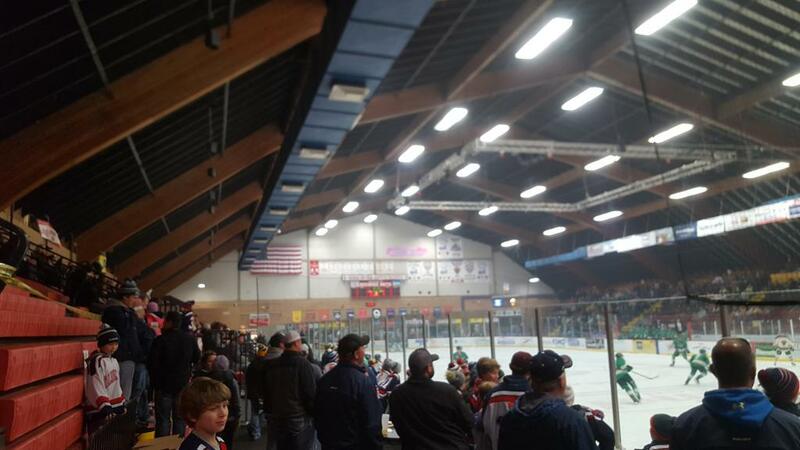 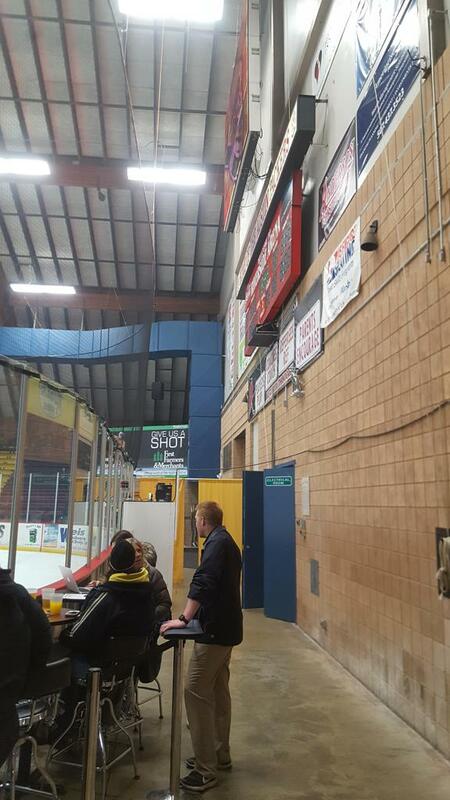 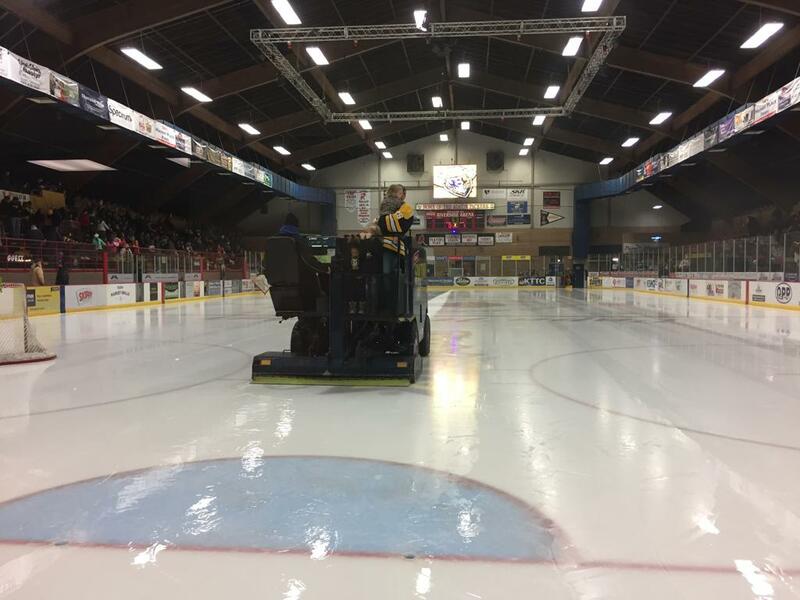 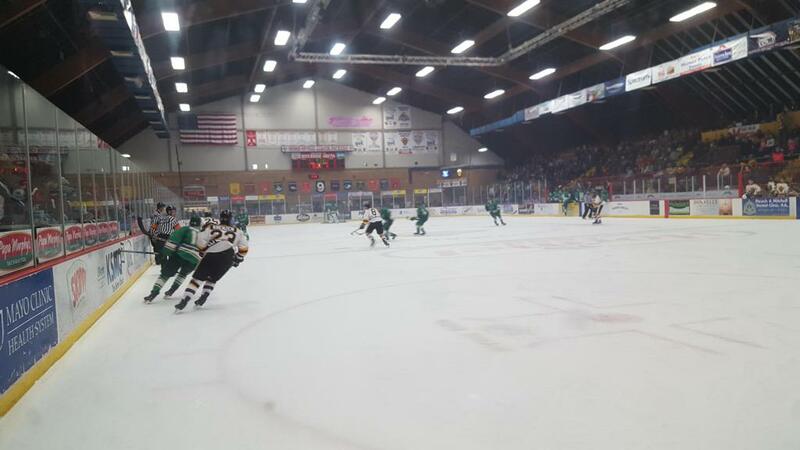 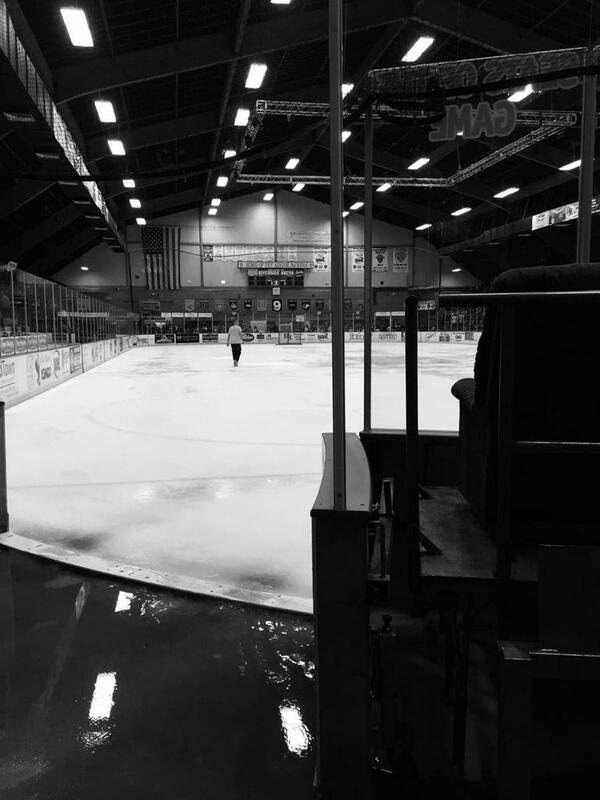 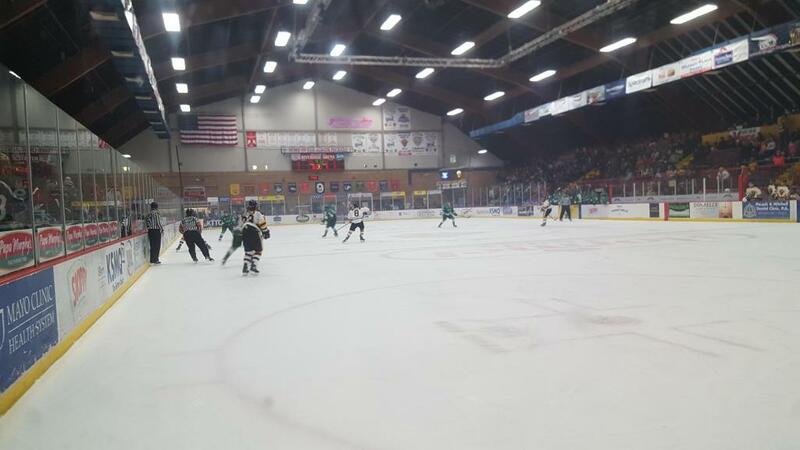 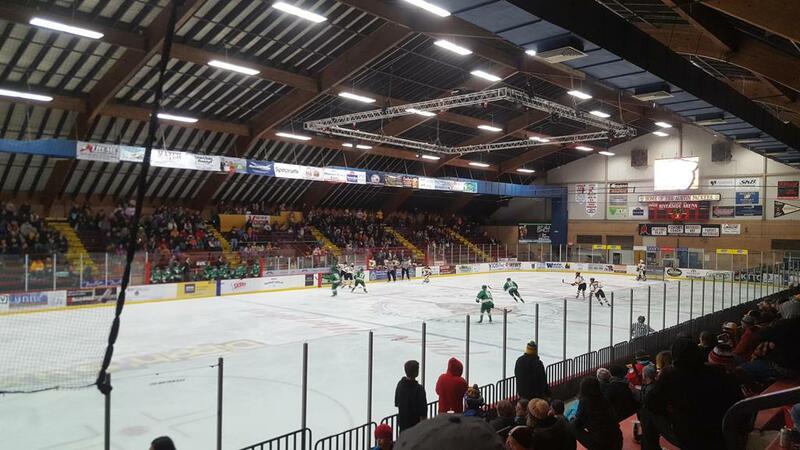 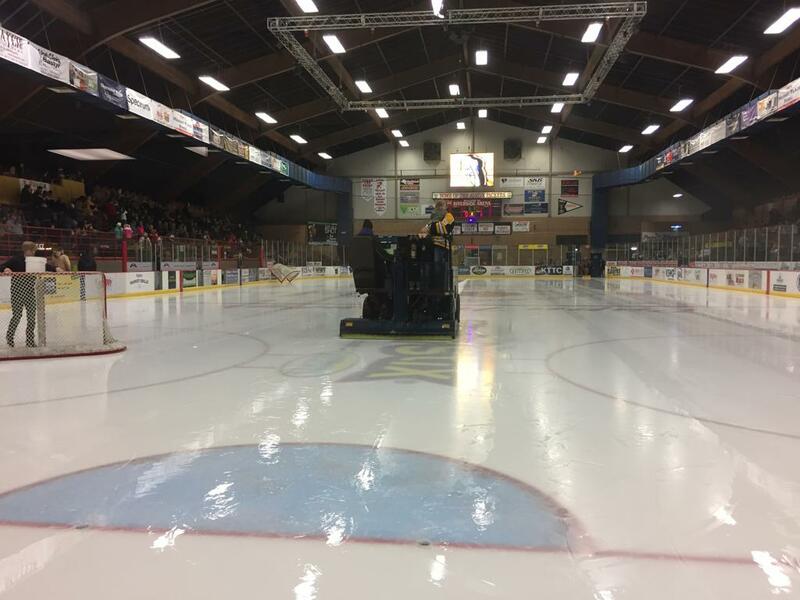 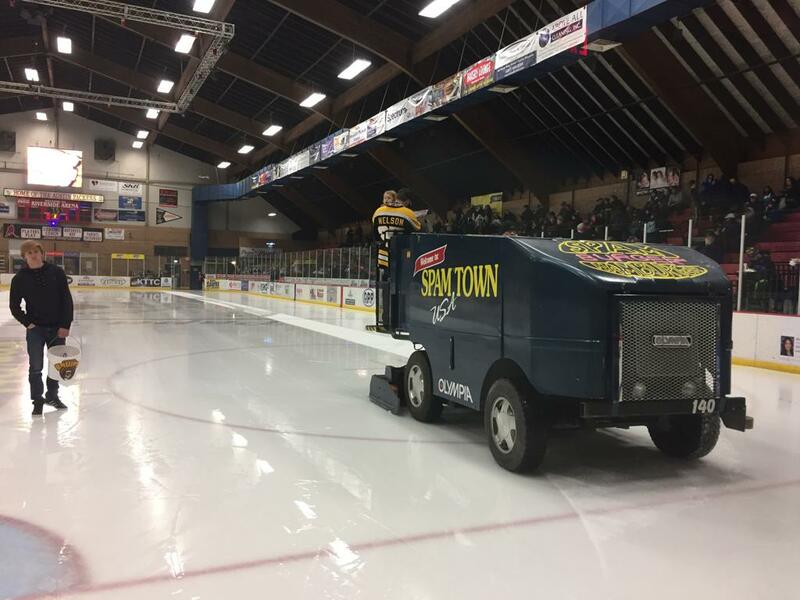 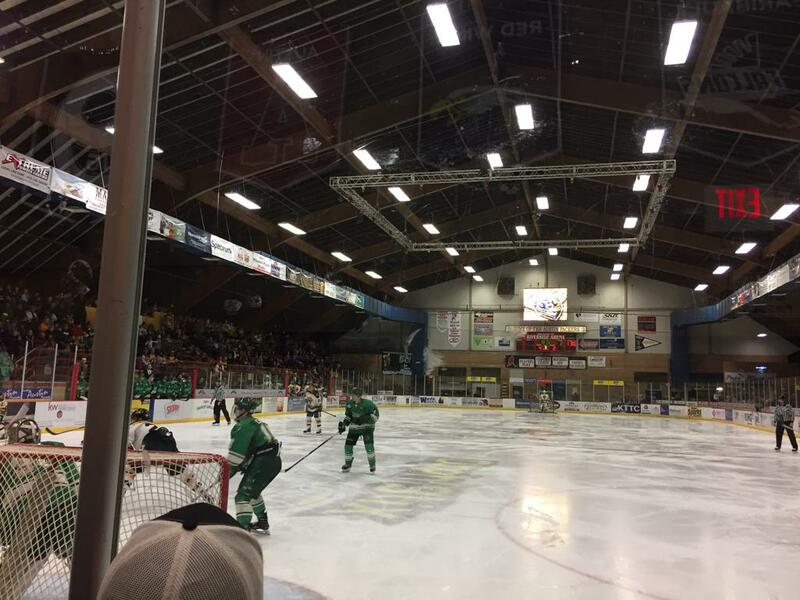 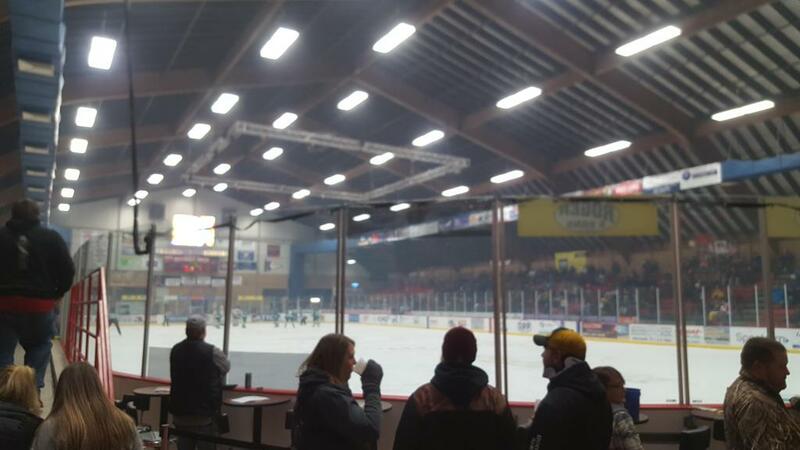 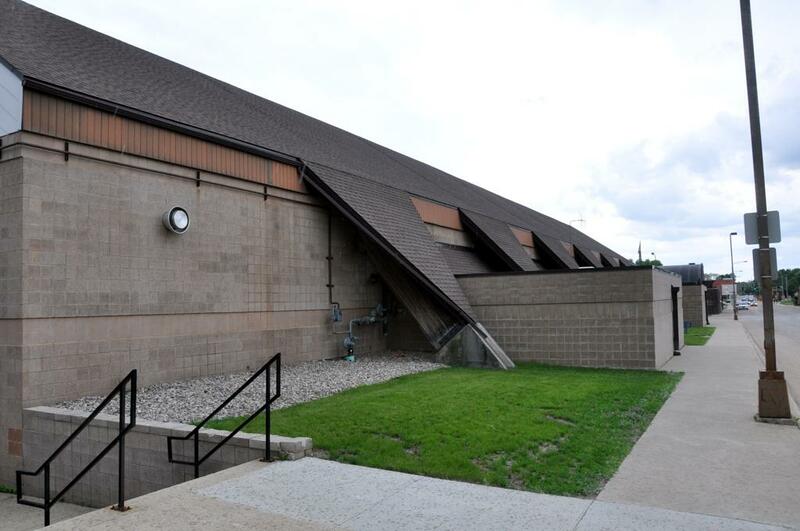 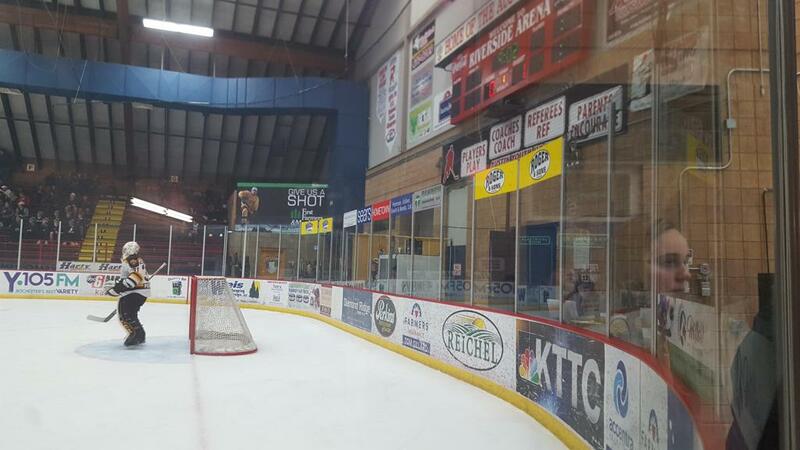 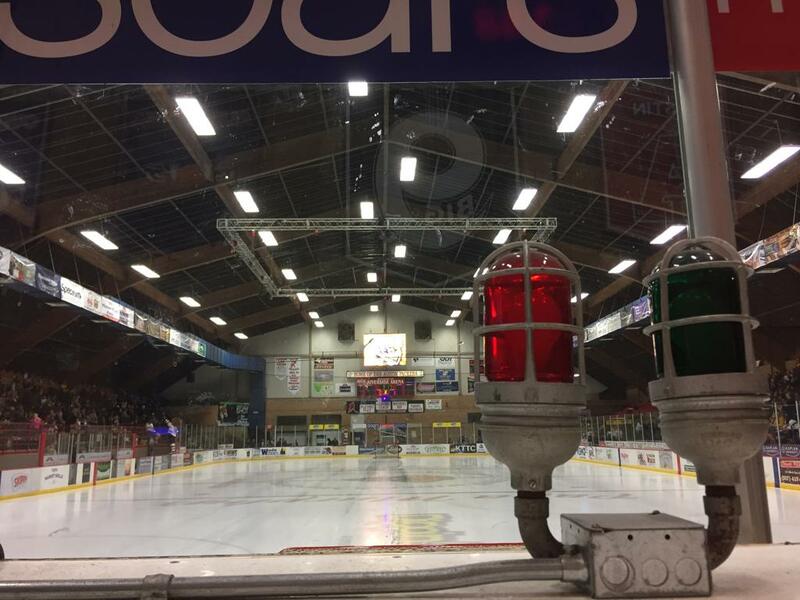 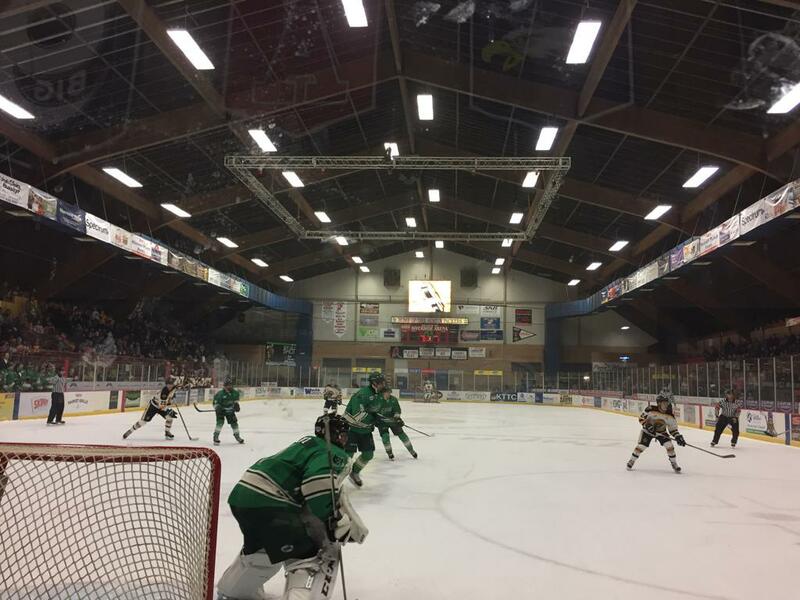 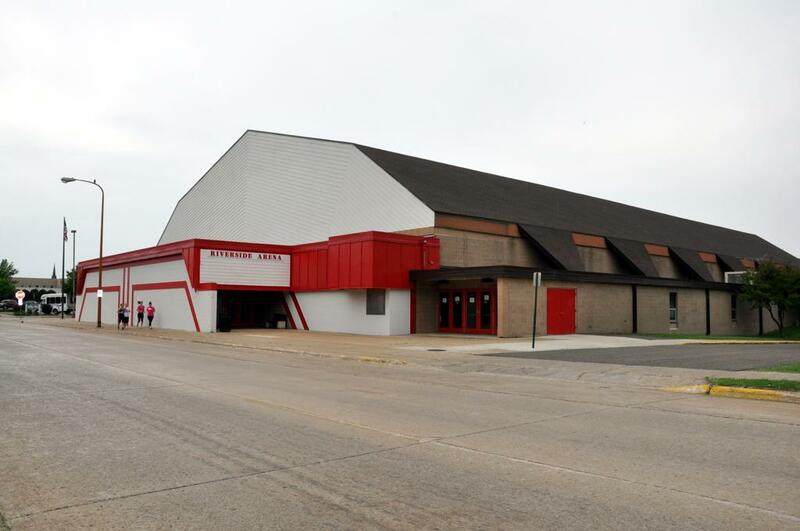 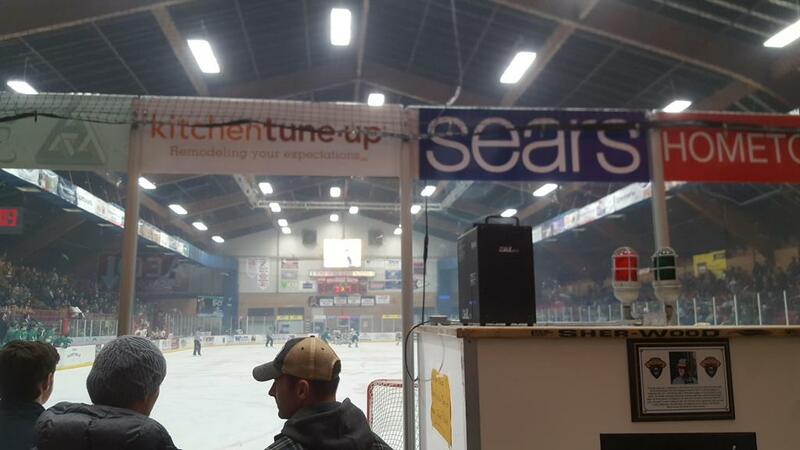 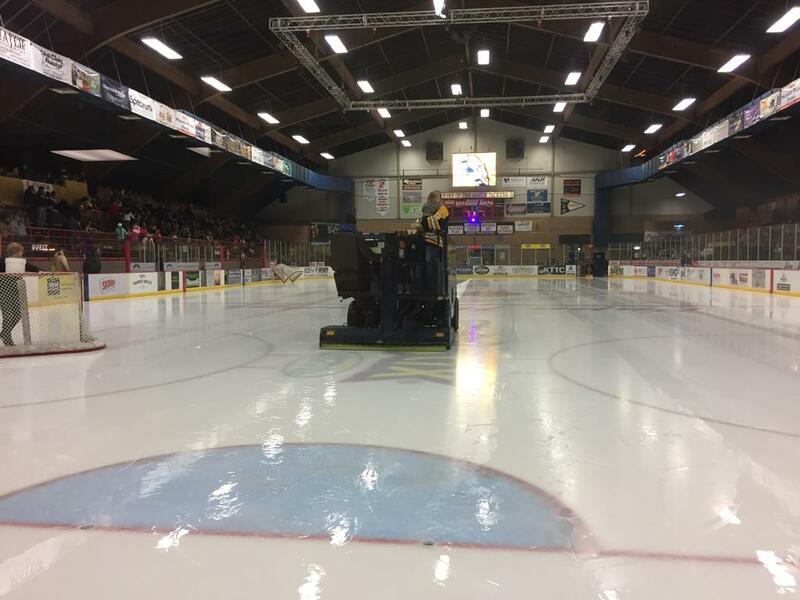 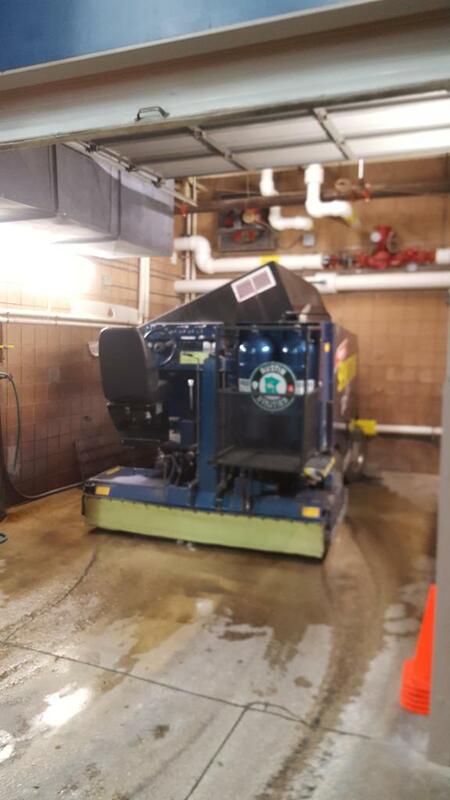 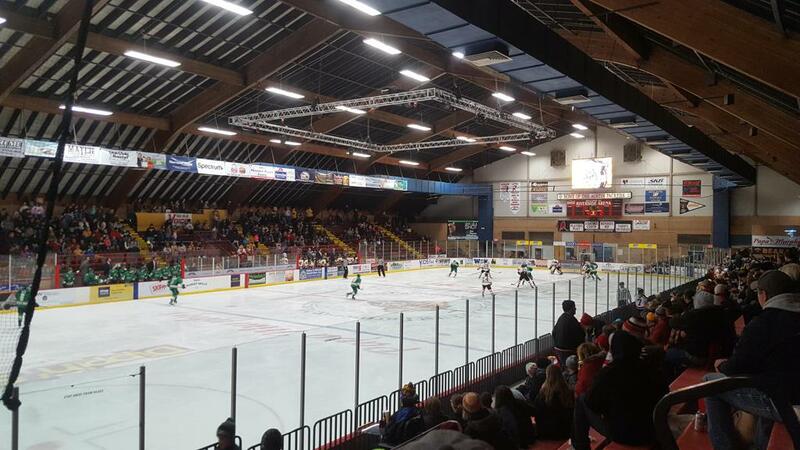 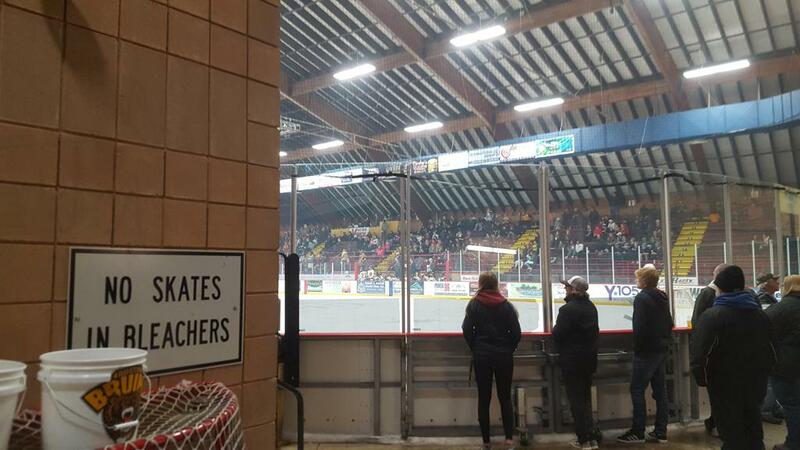 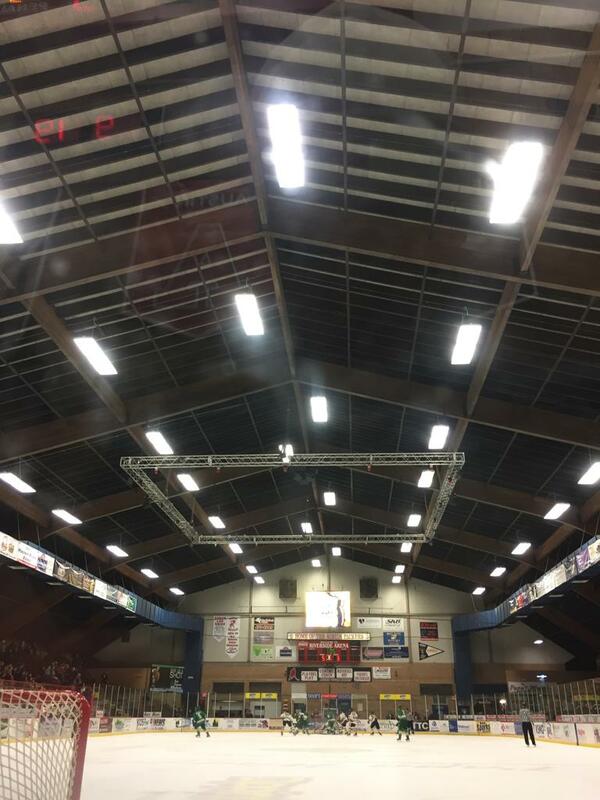 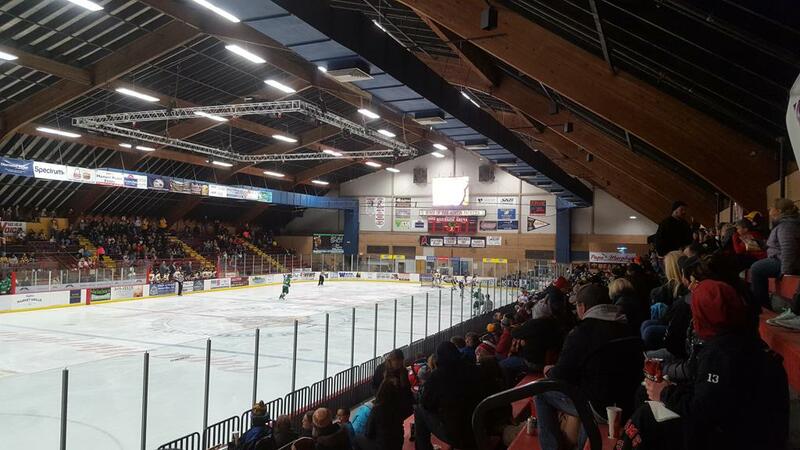 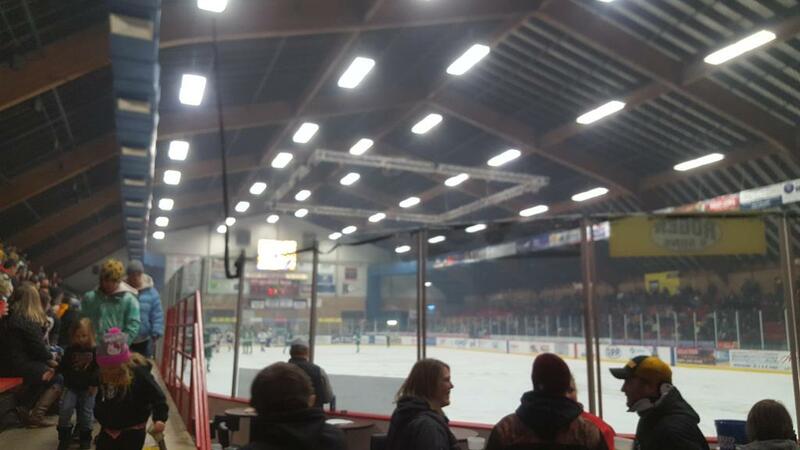 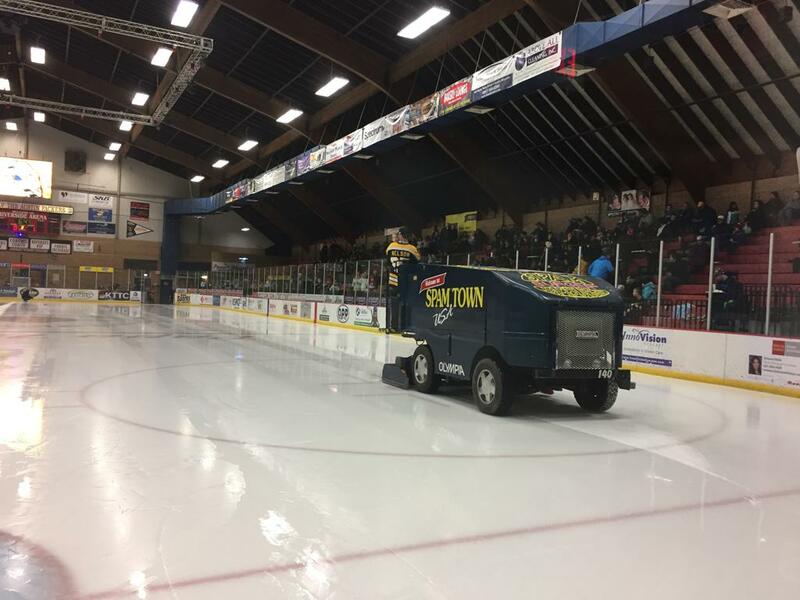 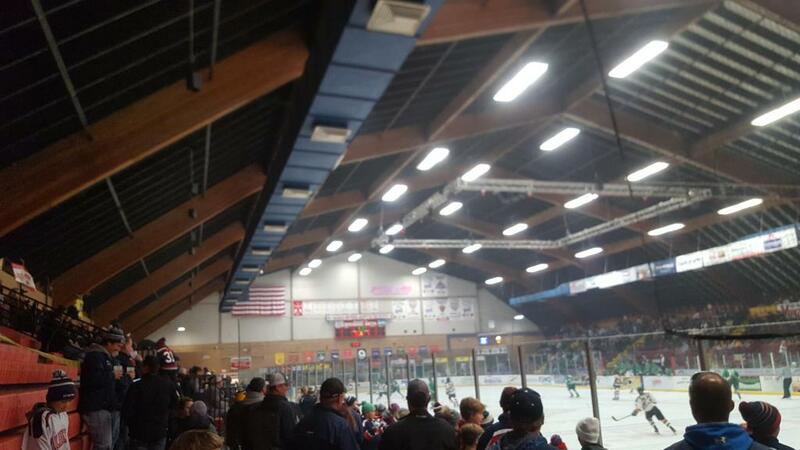 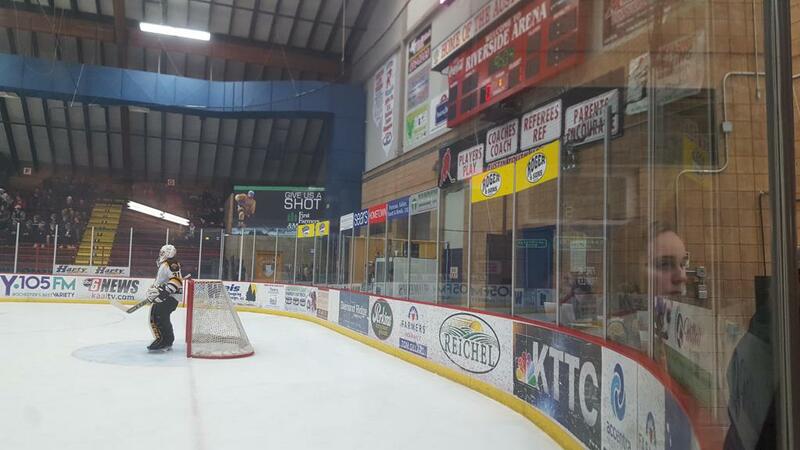 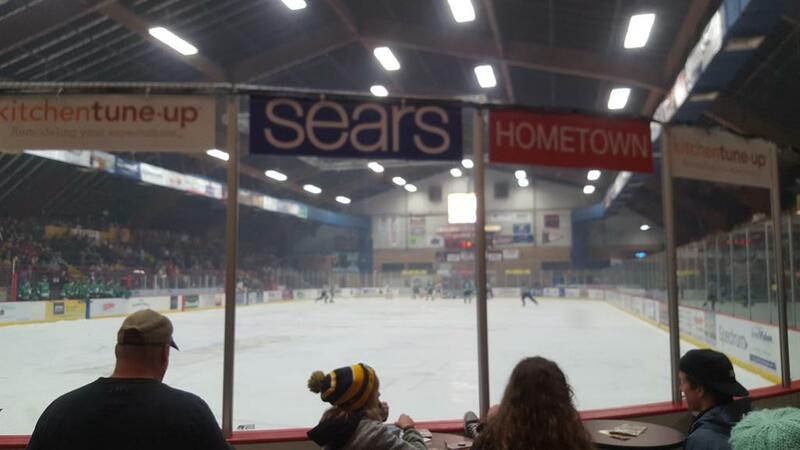 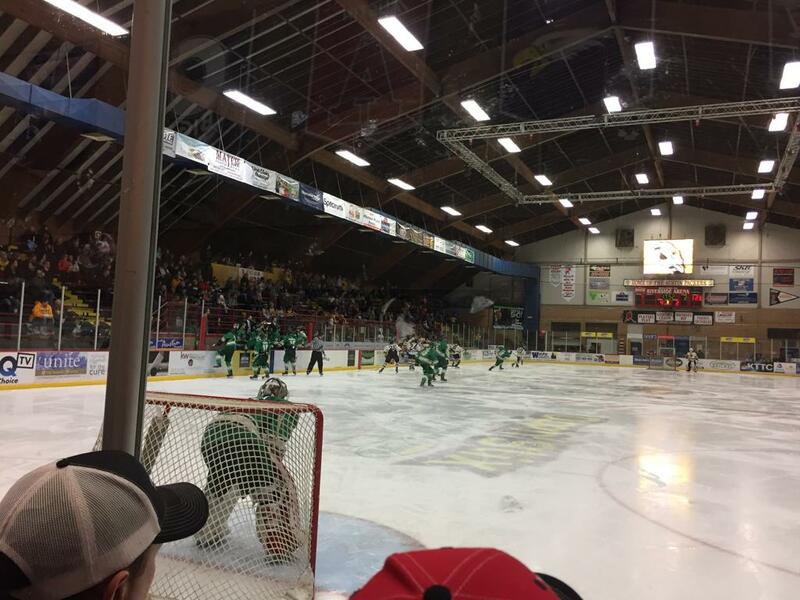 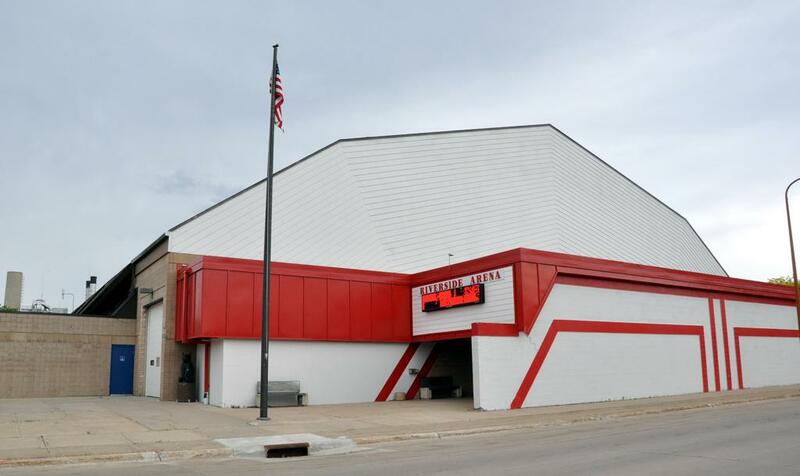 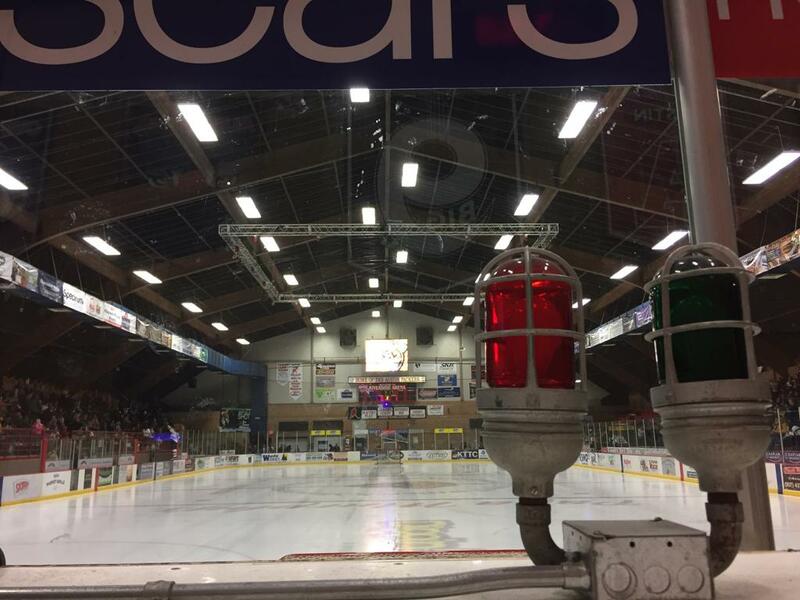 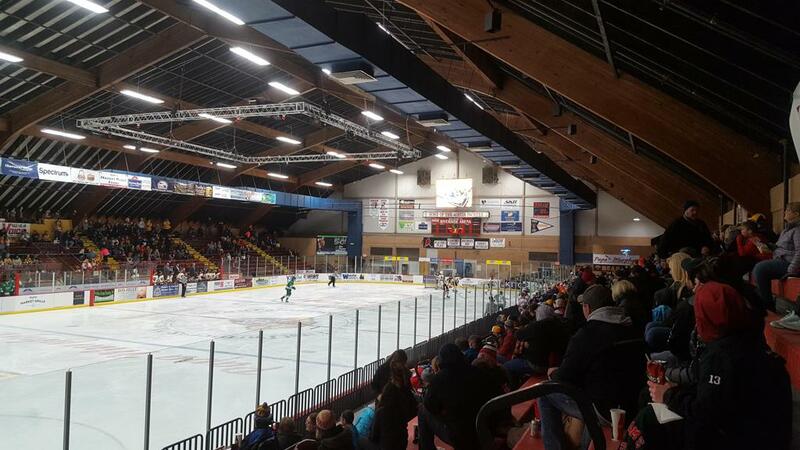 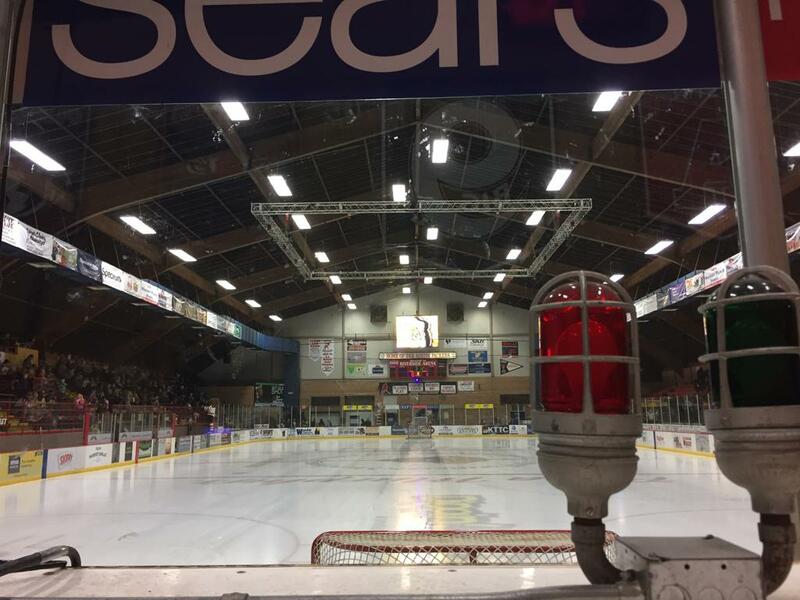 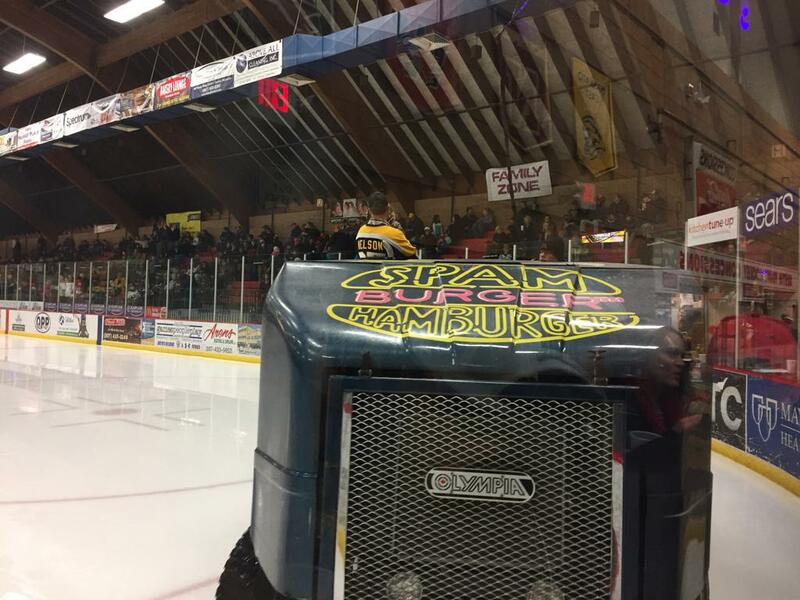 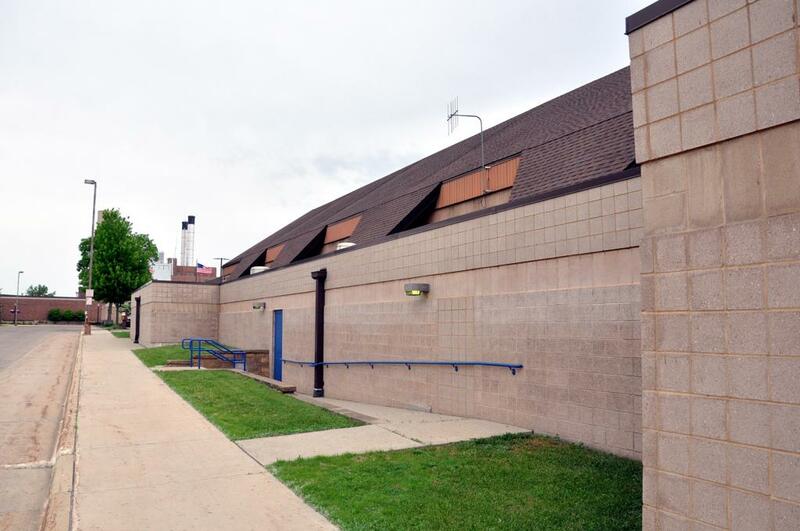 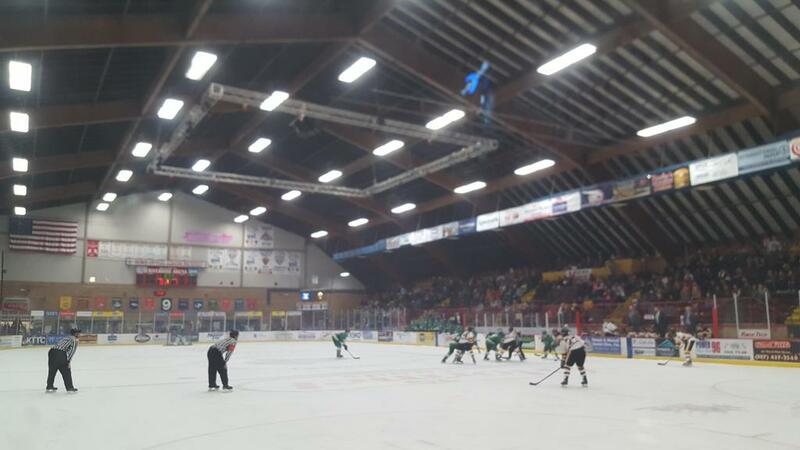 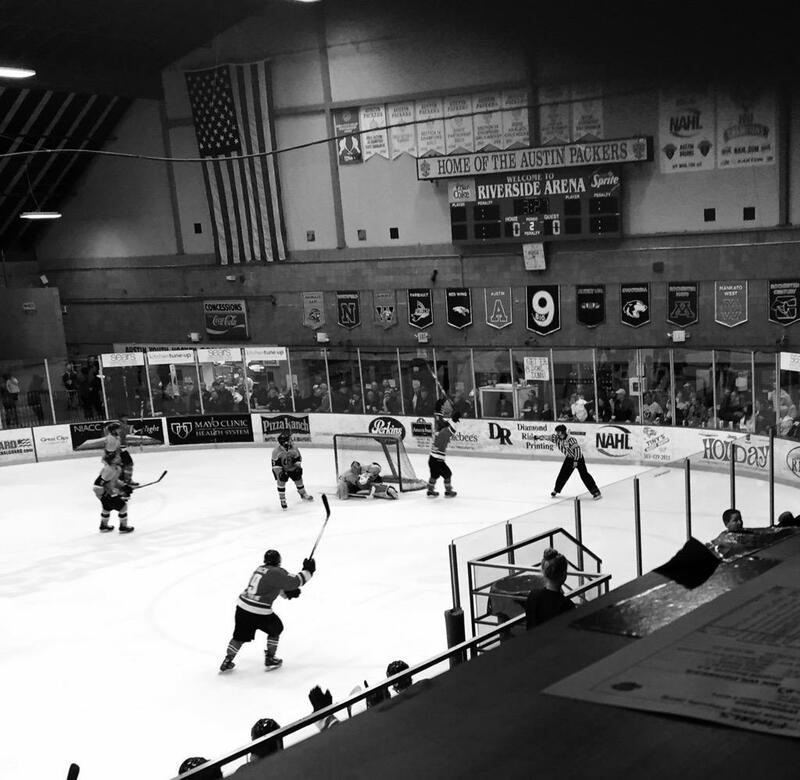 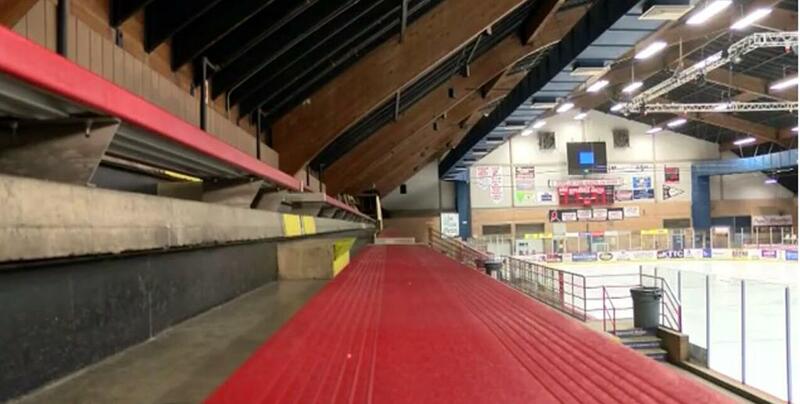 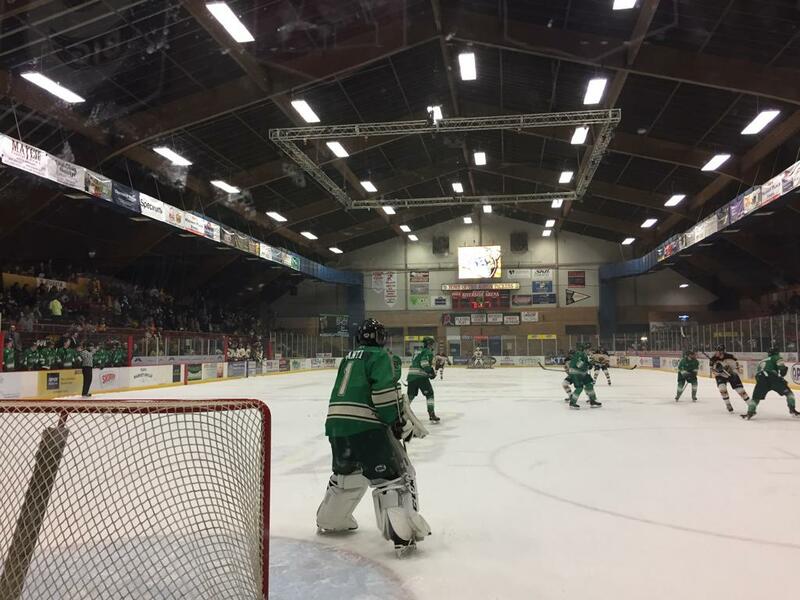 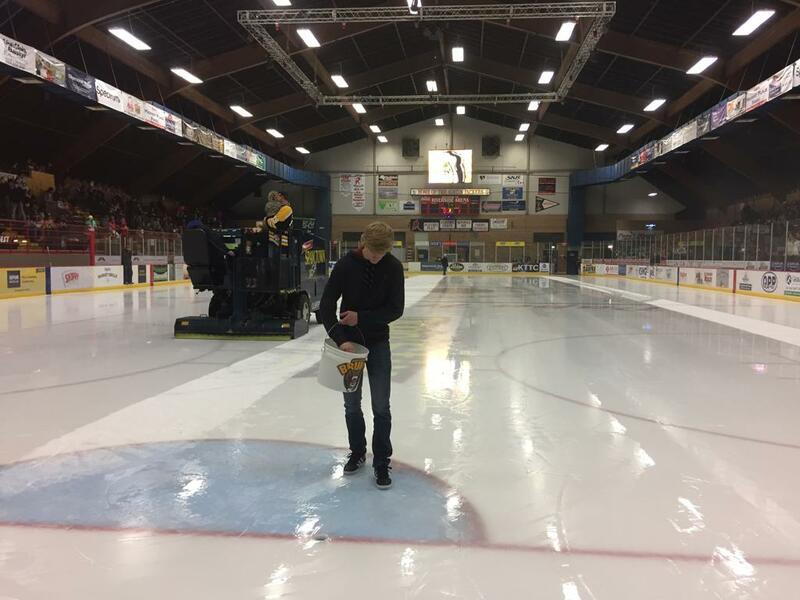 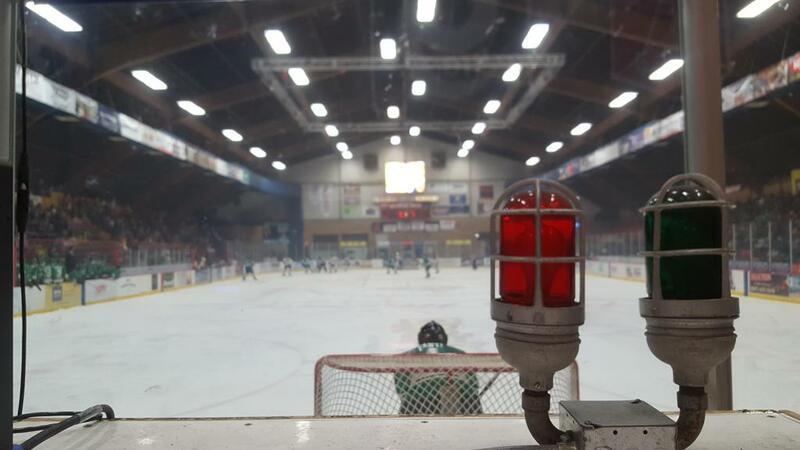 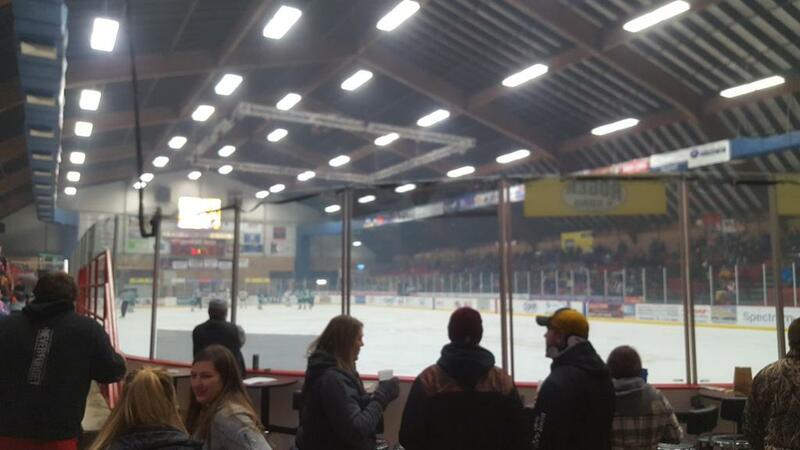 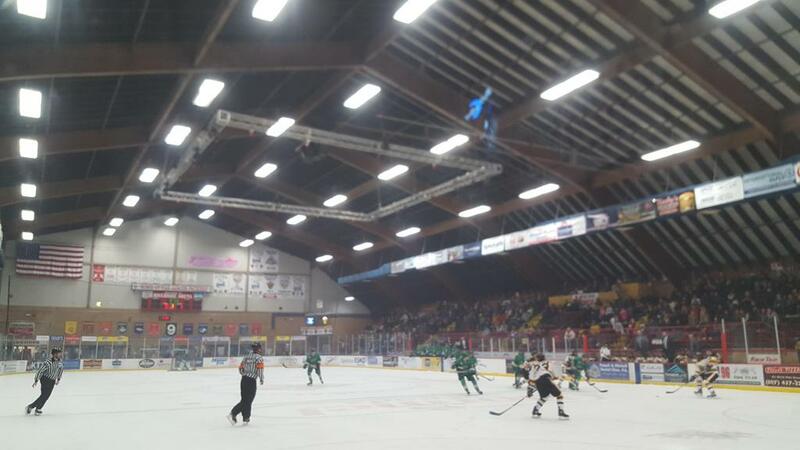 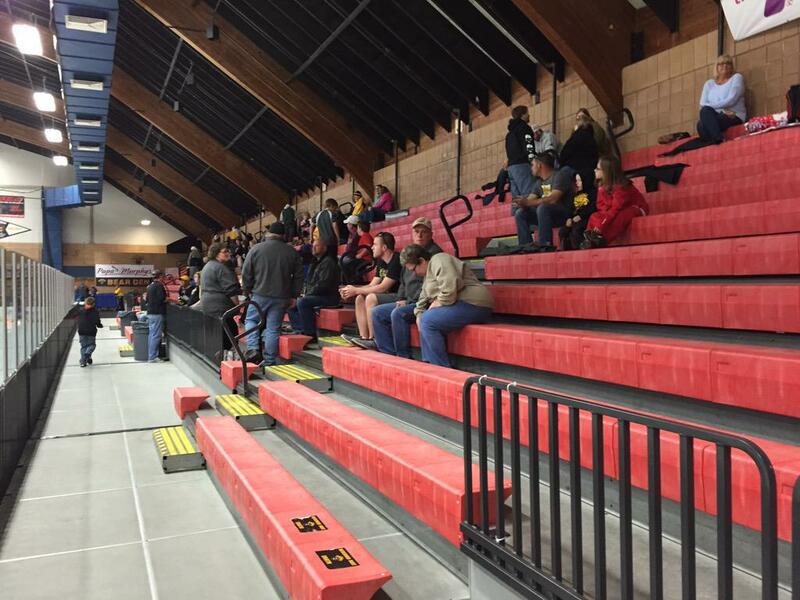 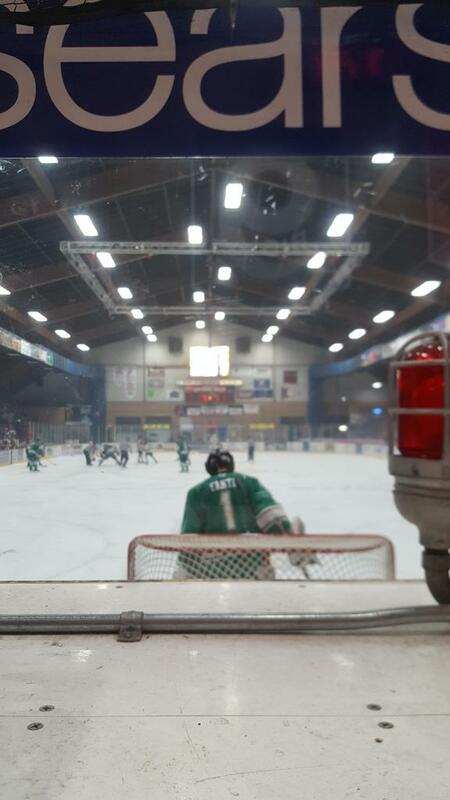 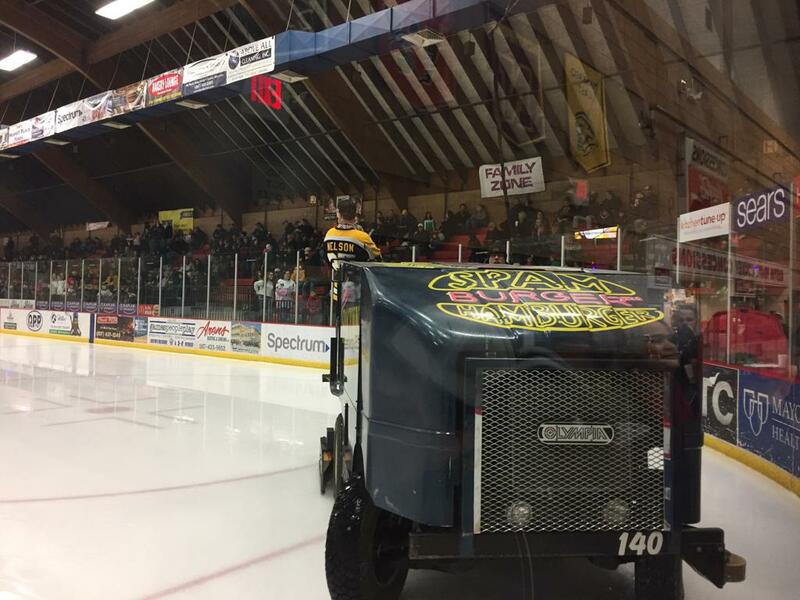 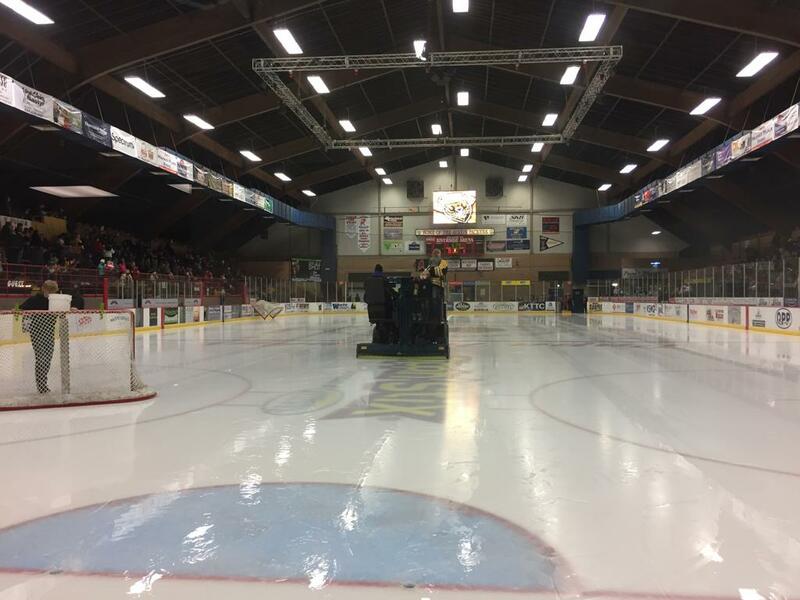 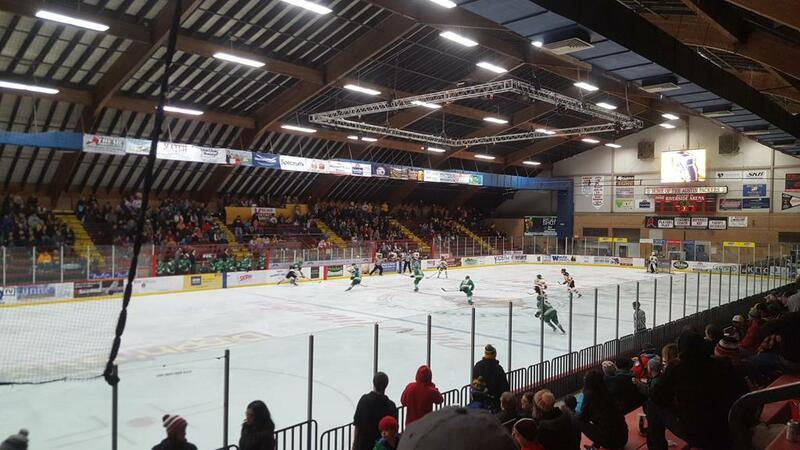 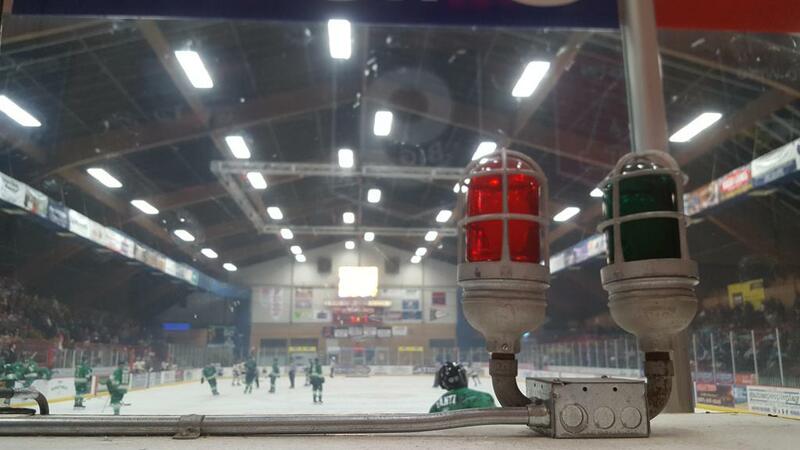 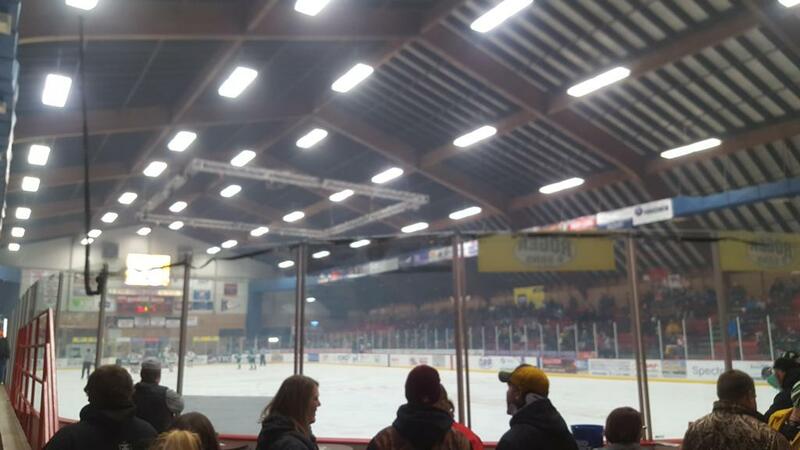 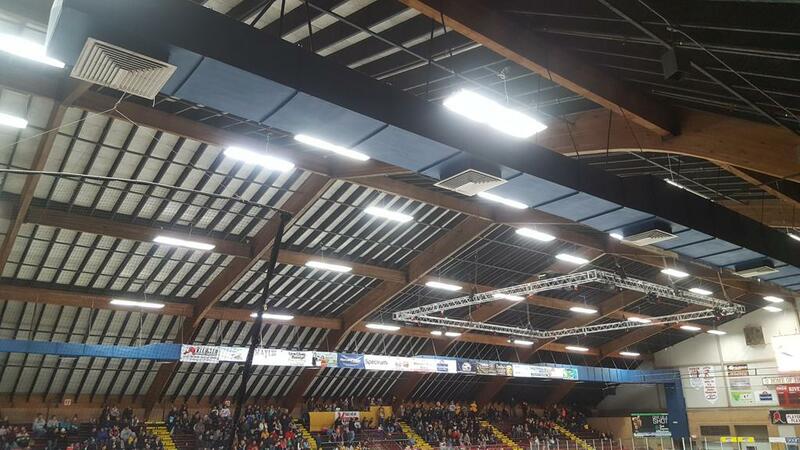 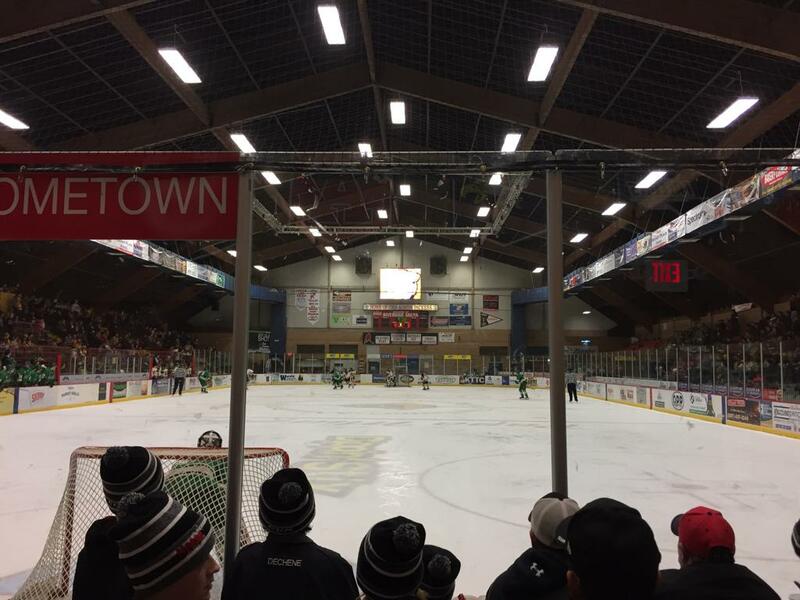 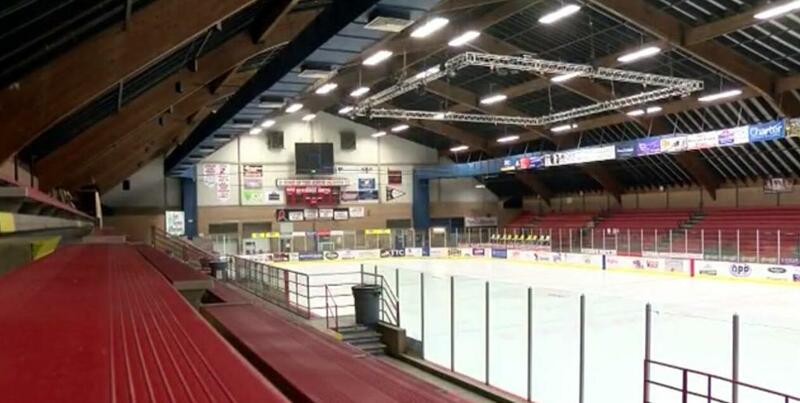 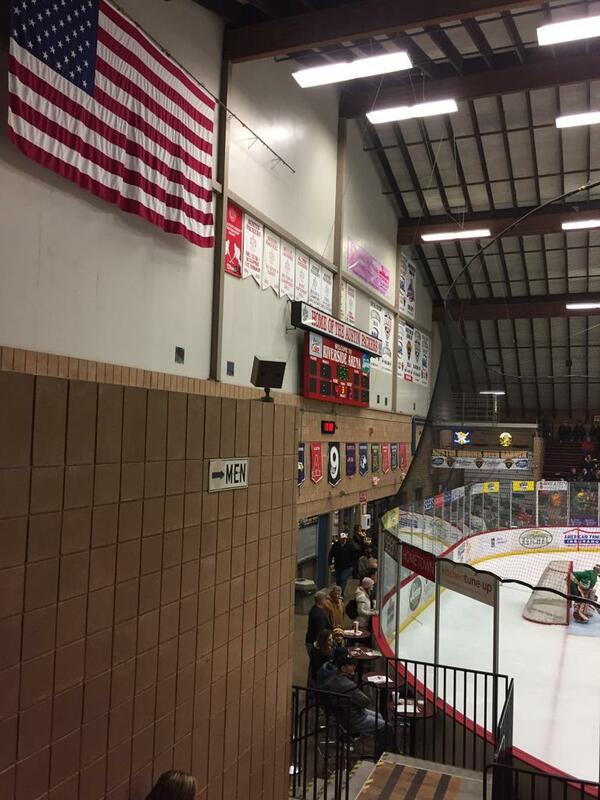 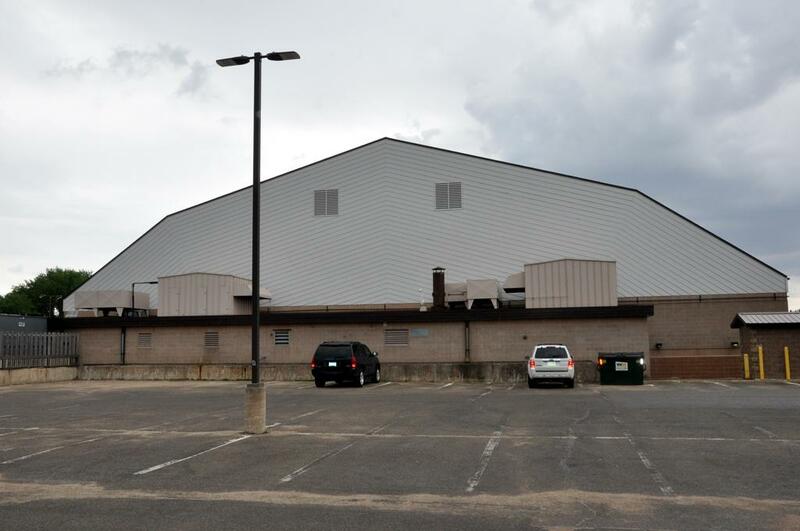 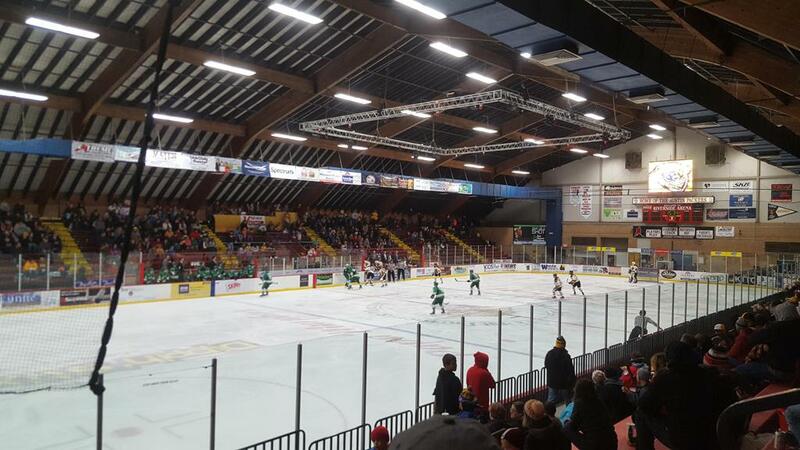 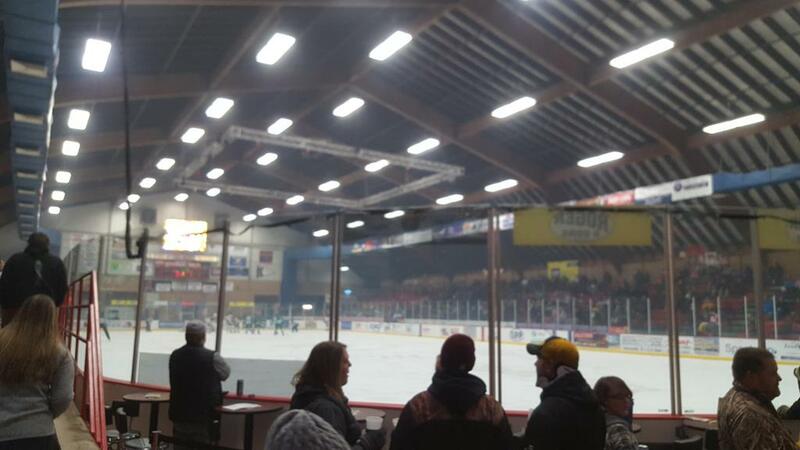 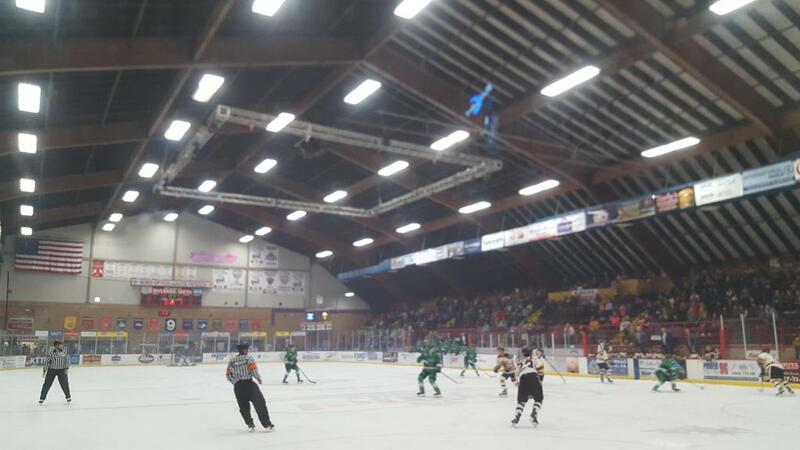 Riverside arena has a standard NHL sized ice sheet measuring at 200 x 85', and boasts seating for 2500 spectators to cheer on their home-town team(s) in this classic Minnesota barn.